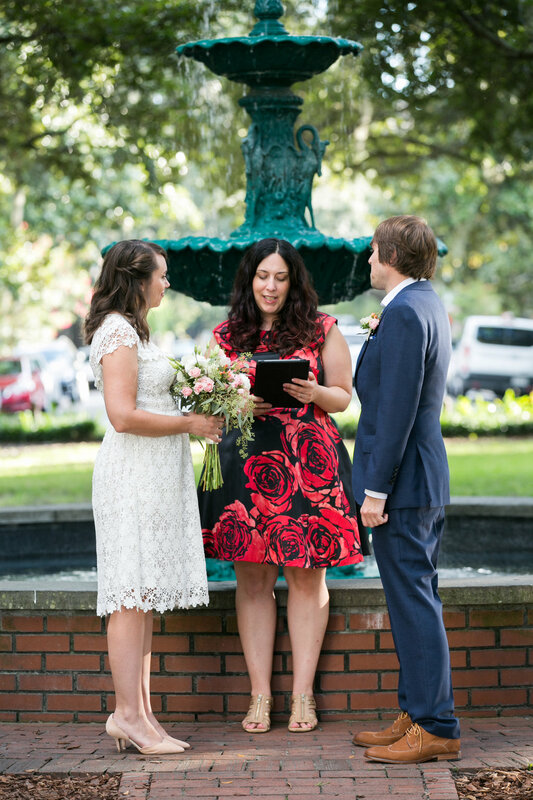 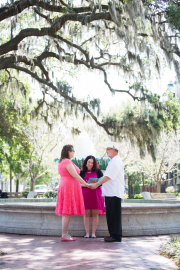 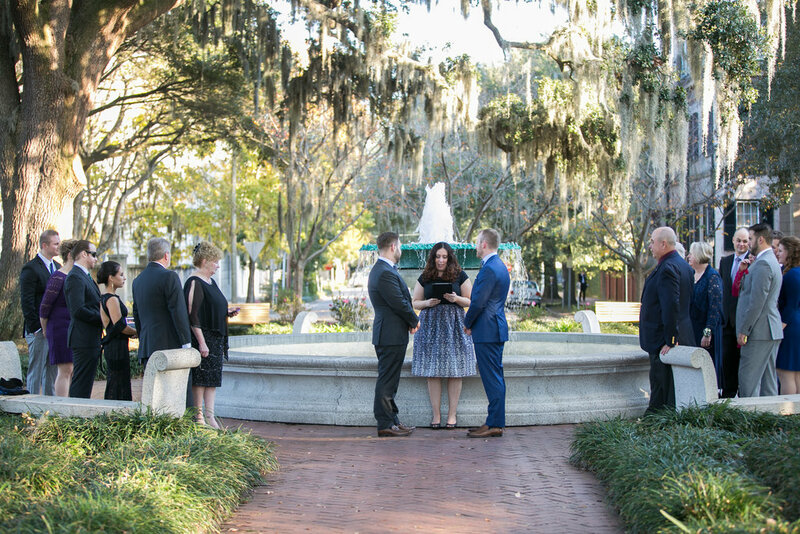 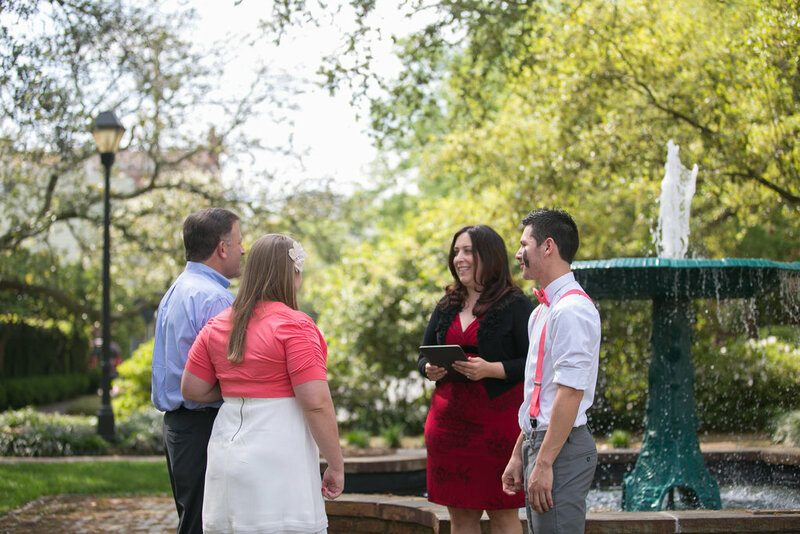 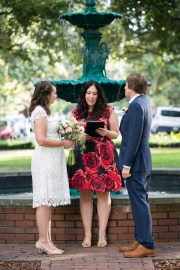 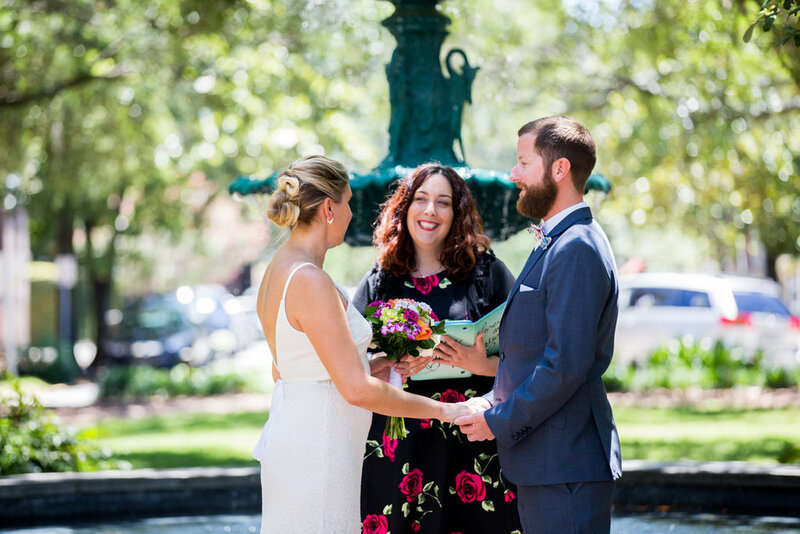 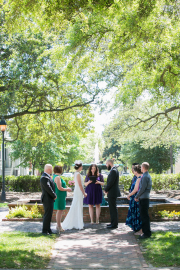 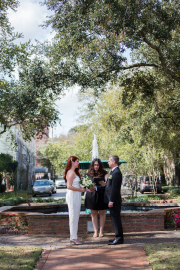 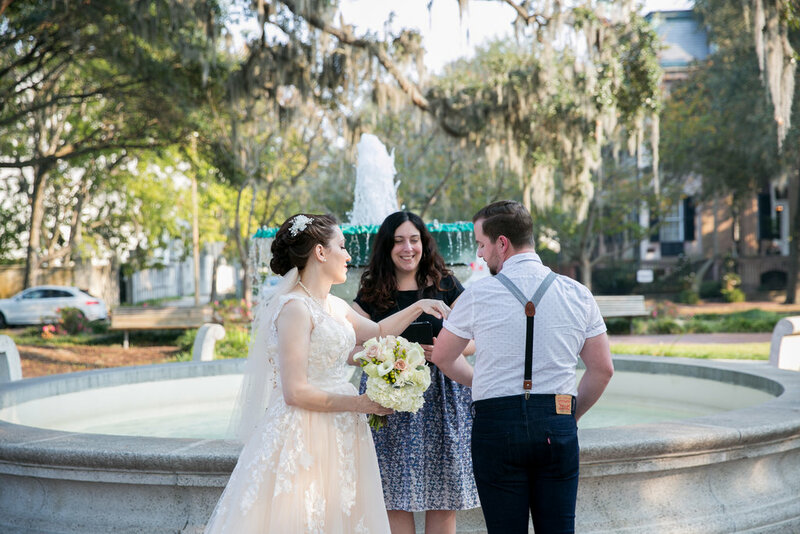 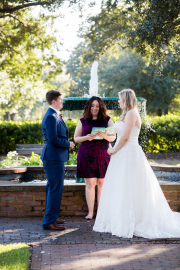 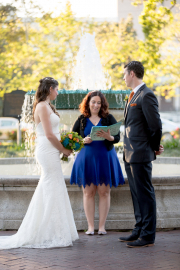 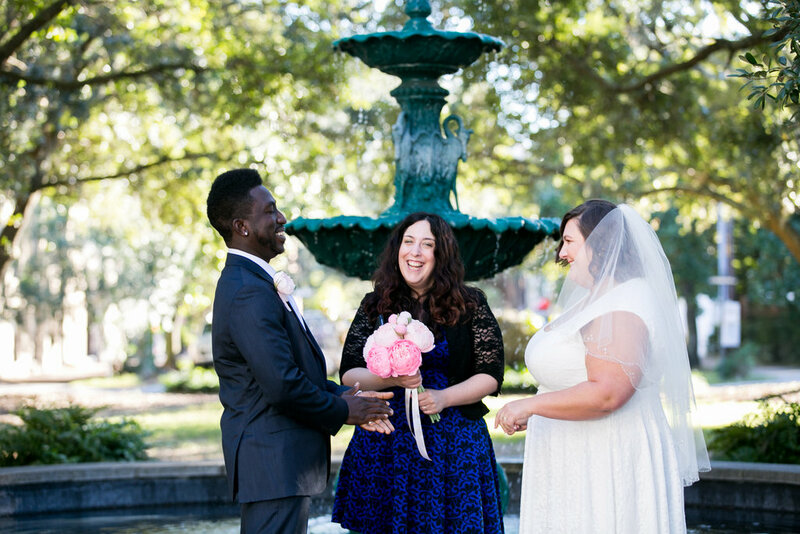 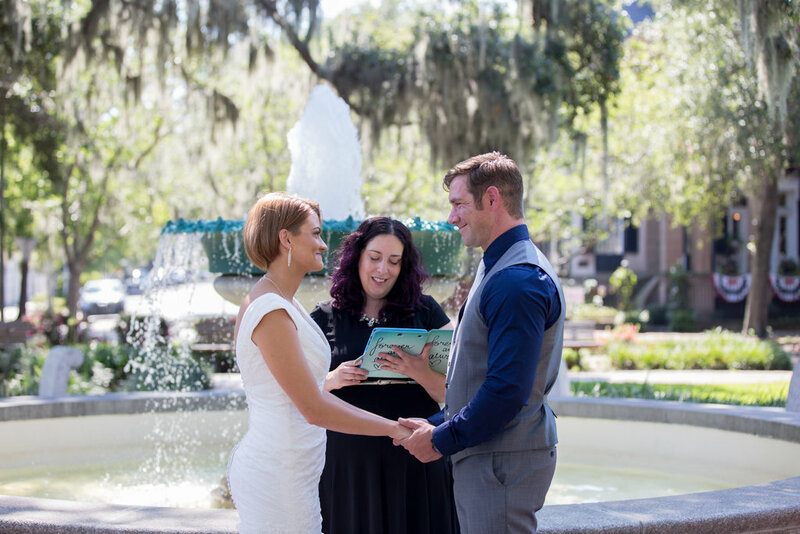 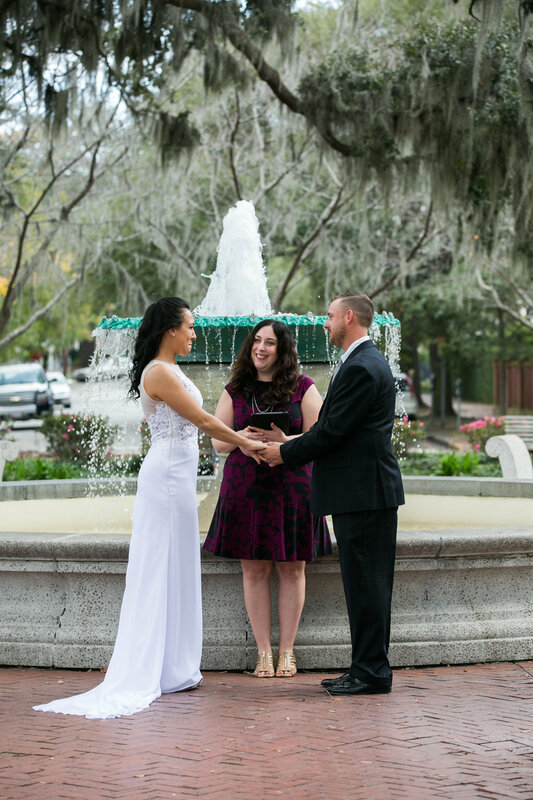 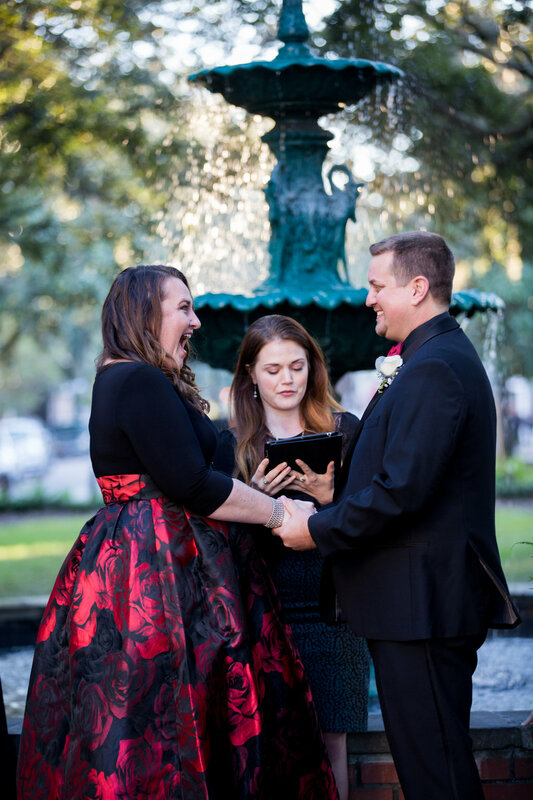 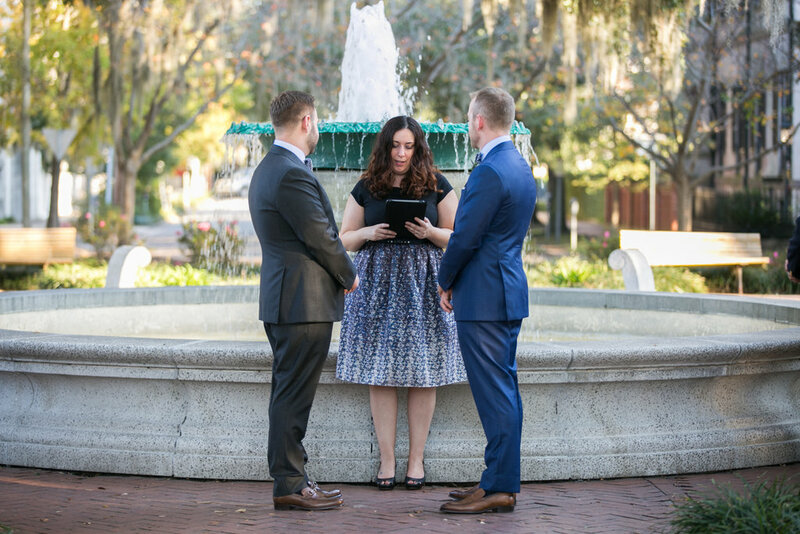 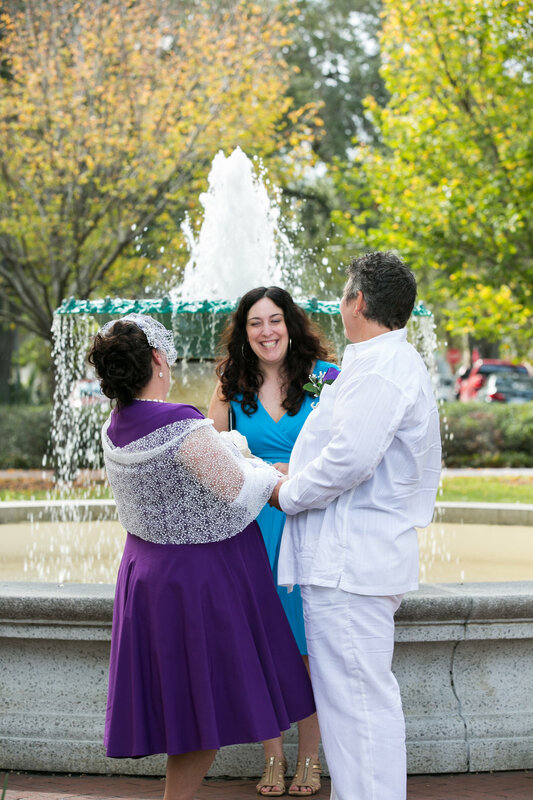 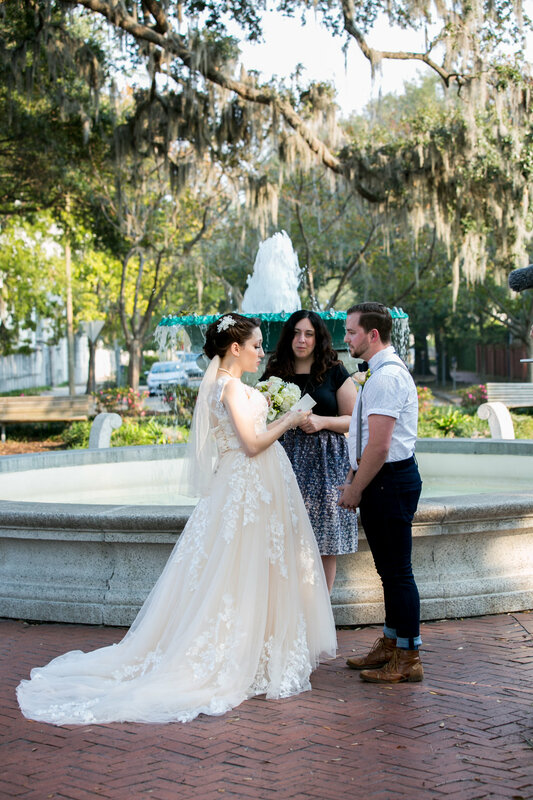 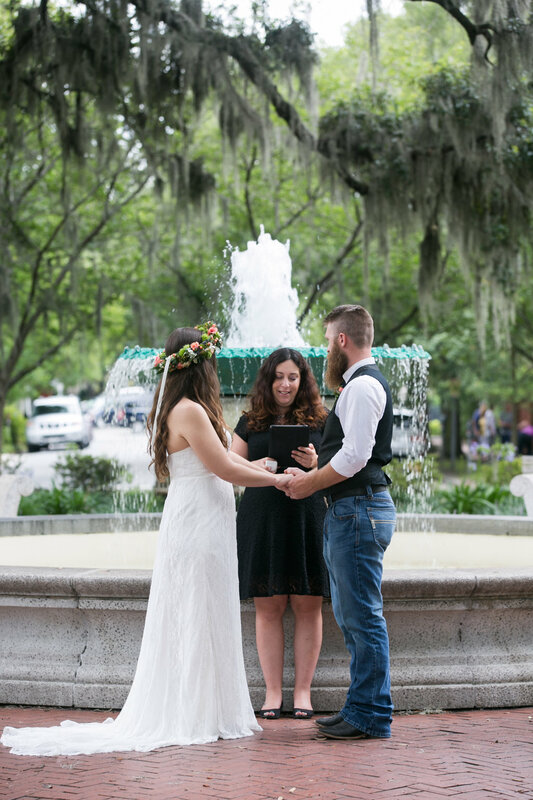 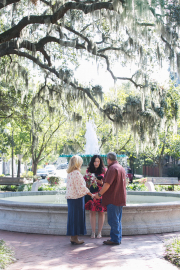 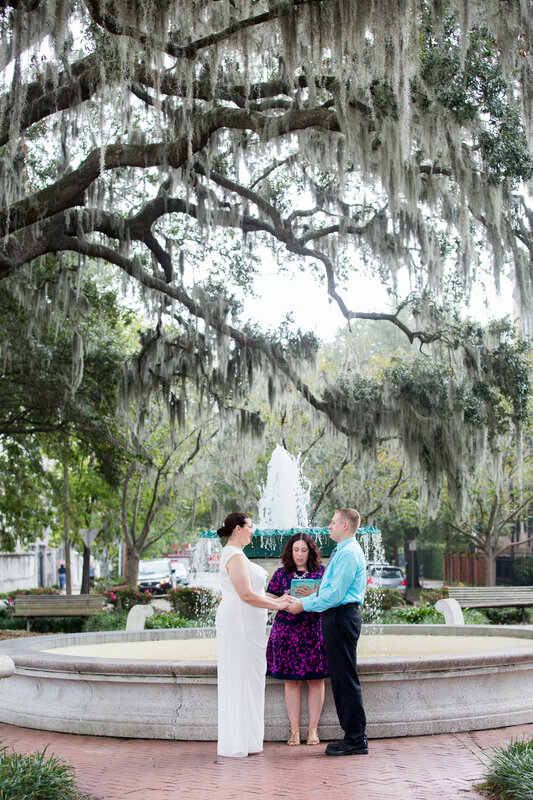 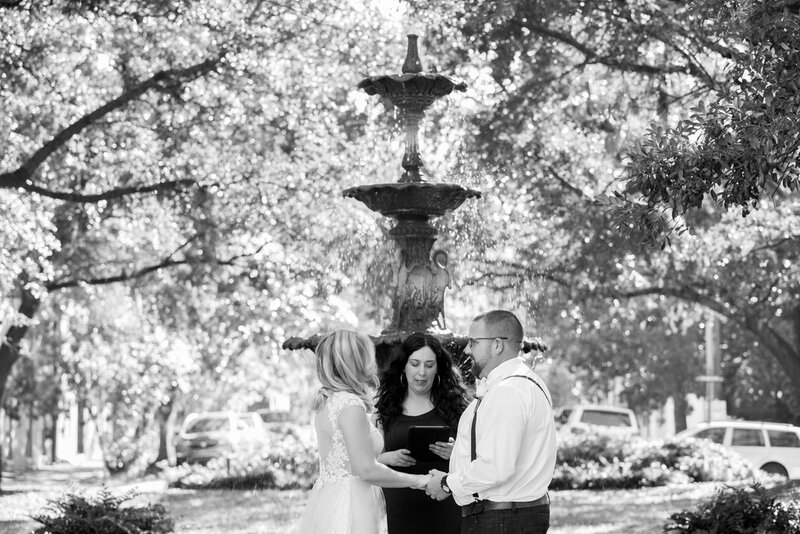 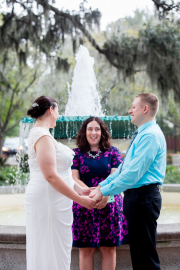 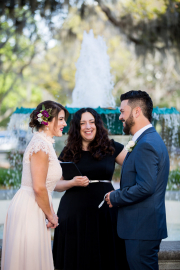 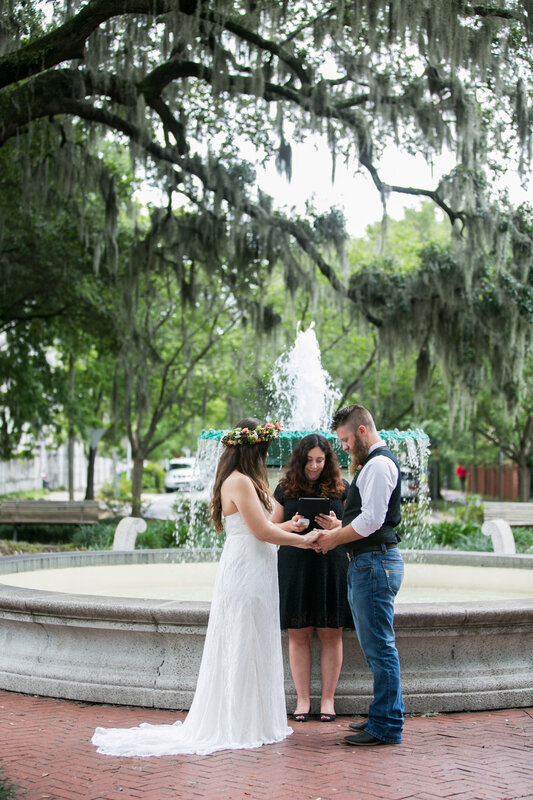 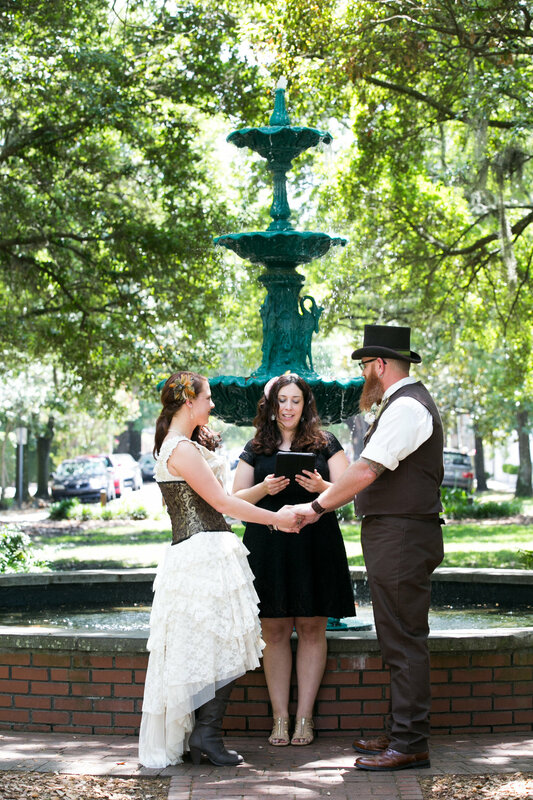 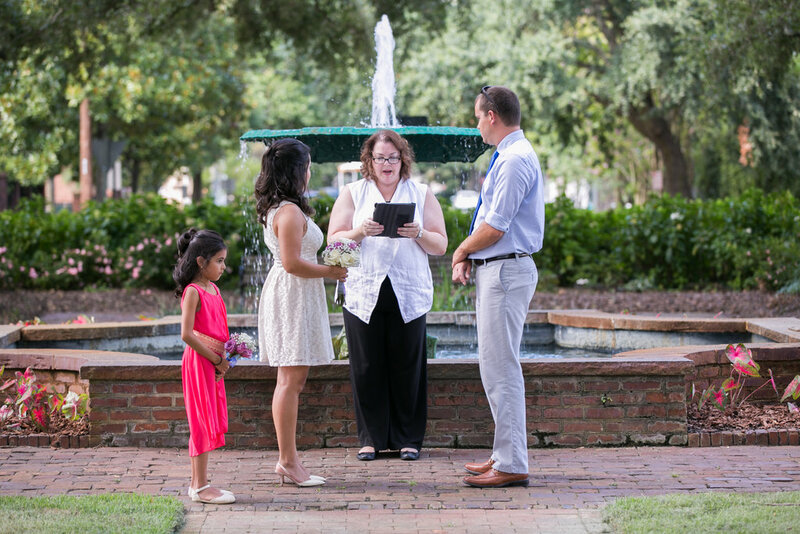 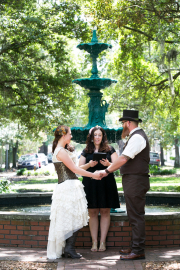 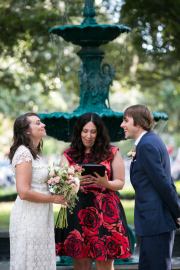 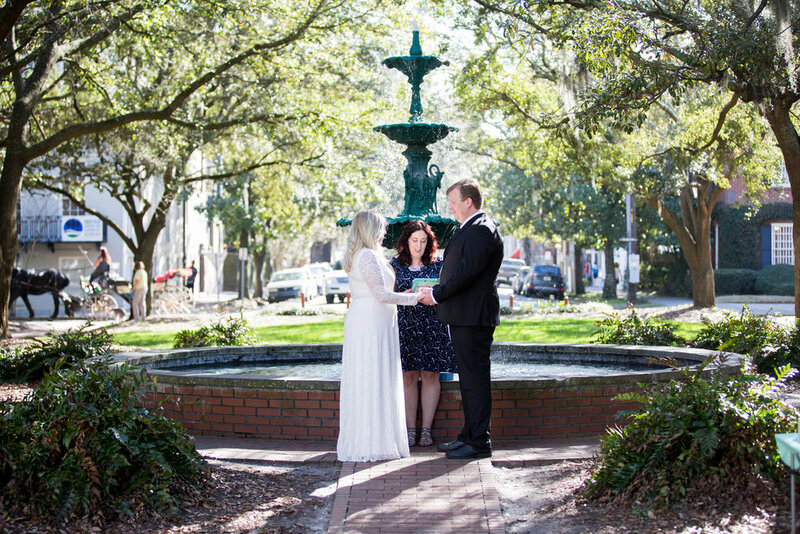 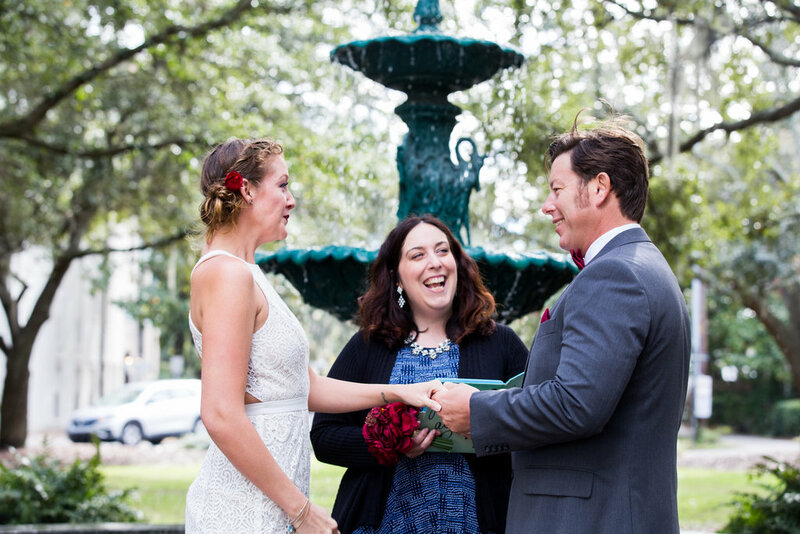 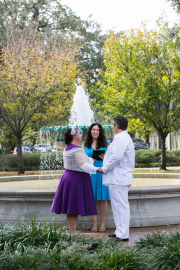 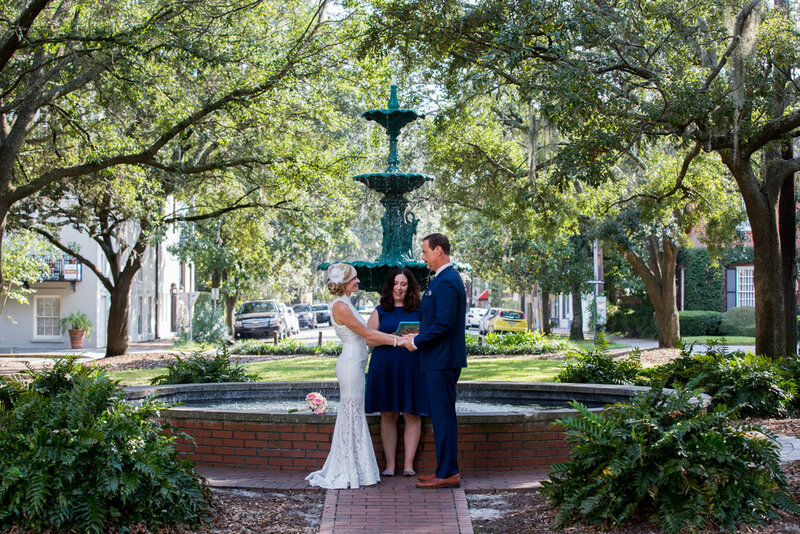 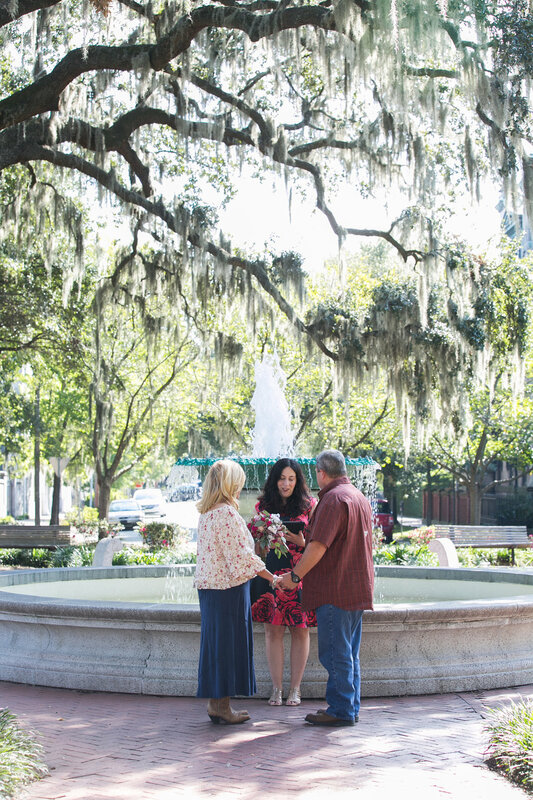 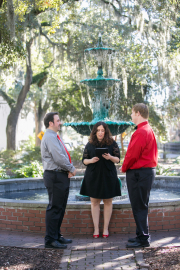 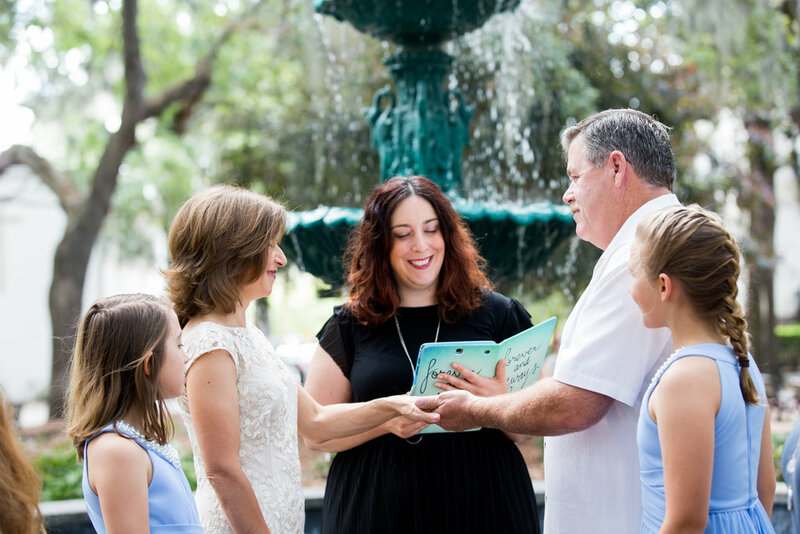 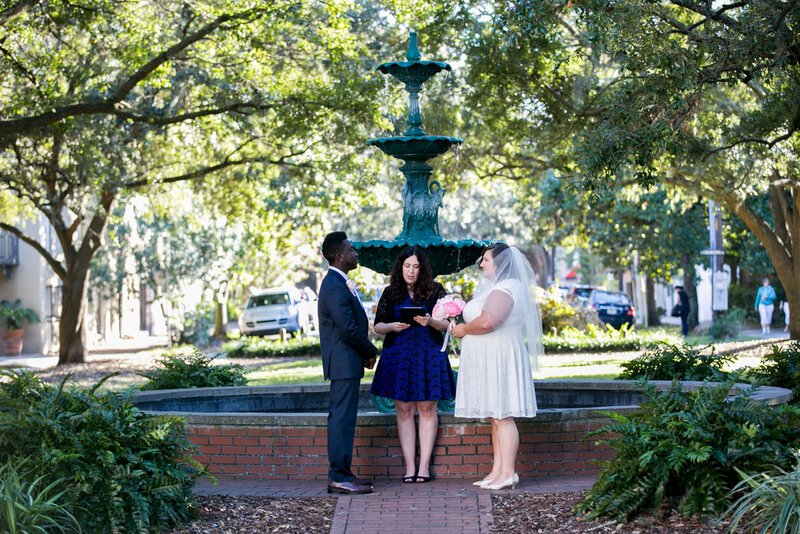 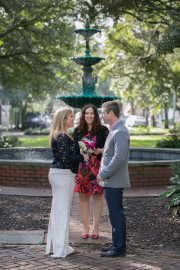 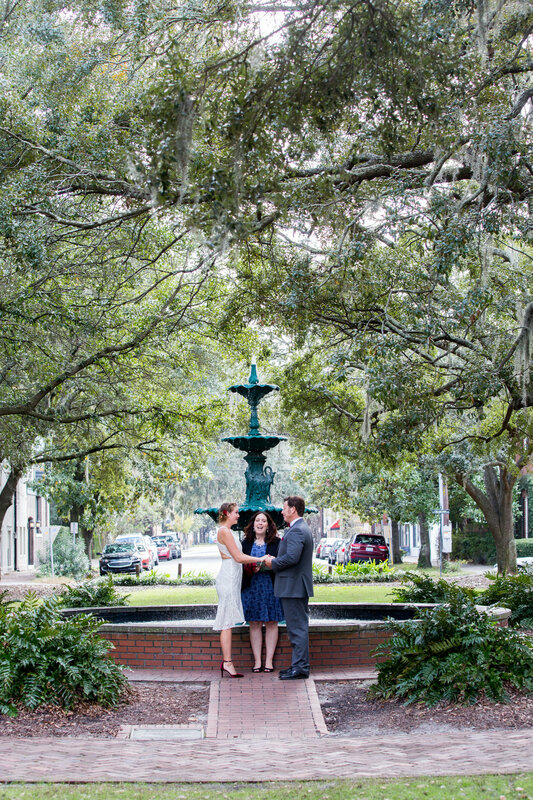 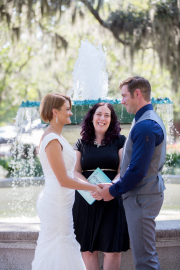 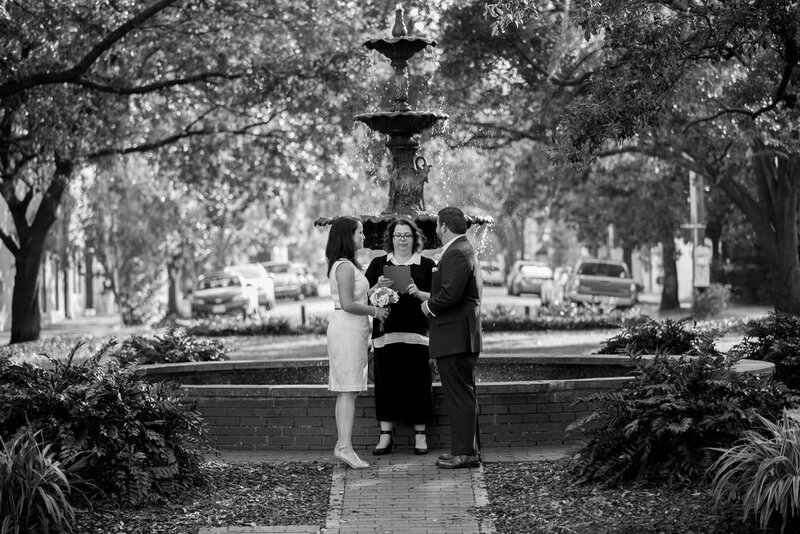 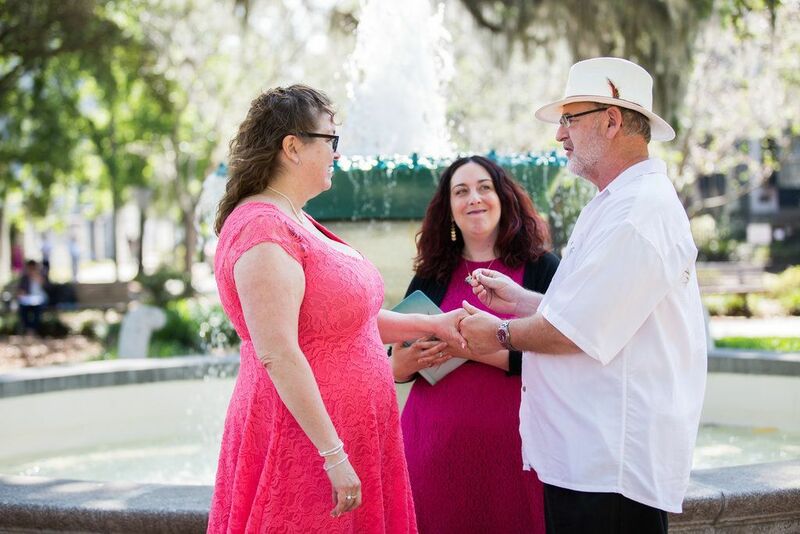 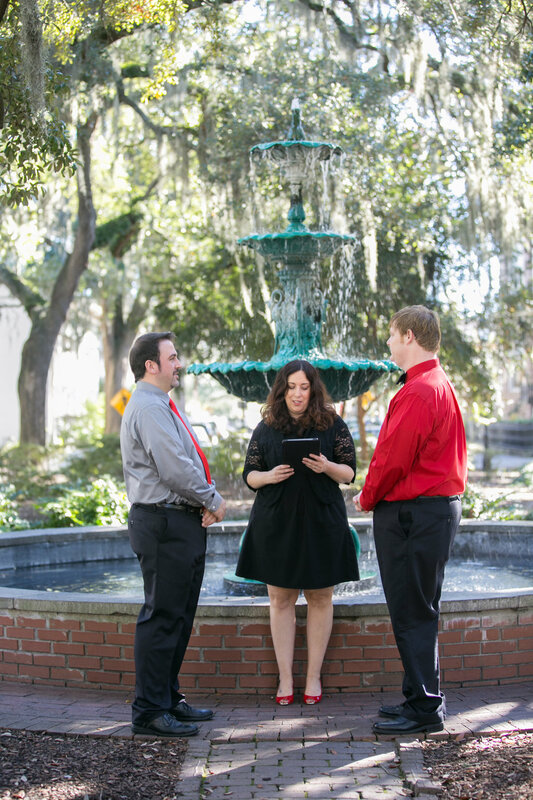 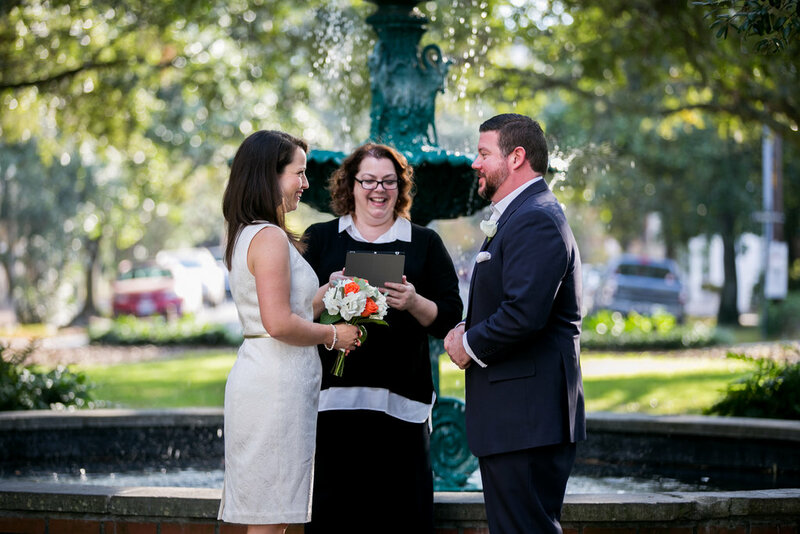 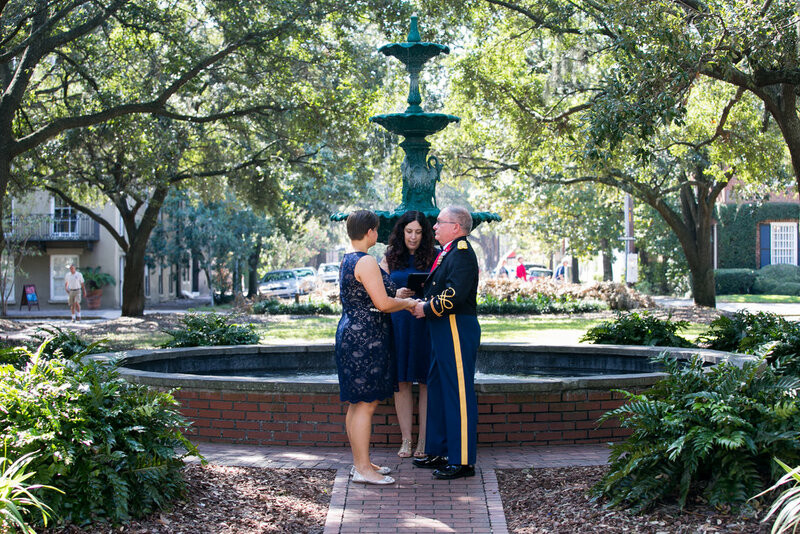 Lafayette, Orleans and Columbia are three of our most popular squares to be married in because of their gorgeous fountains. 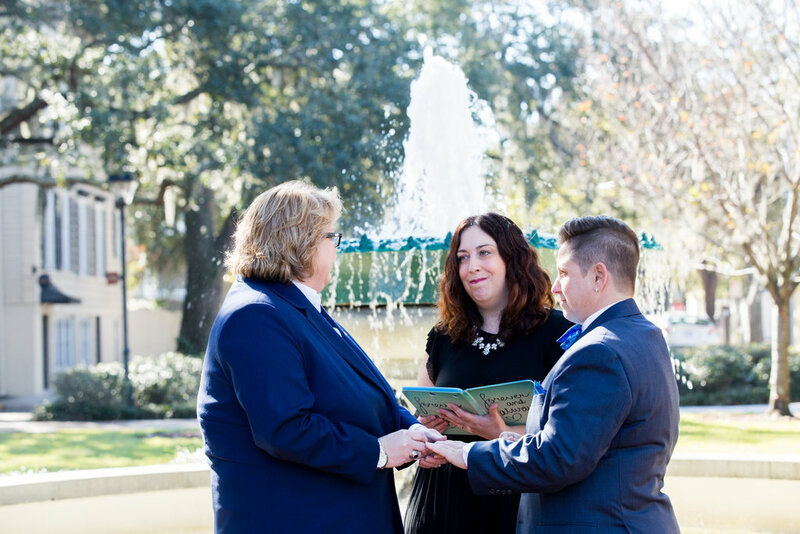 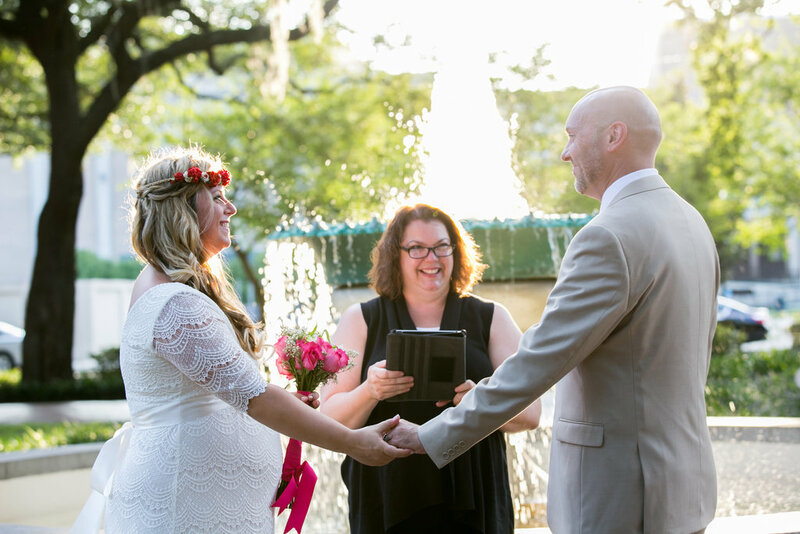 In 2017, we married 35 couples between the three with 18 in Orleans, 12 in Lafayette, and 5 in Columbia. 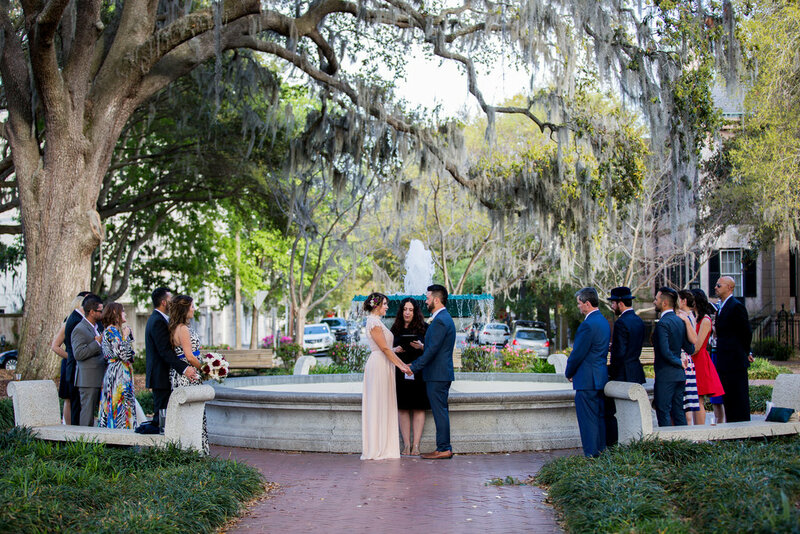 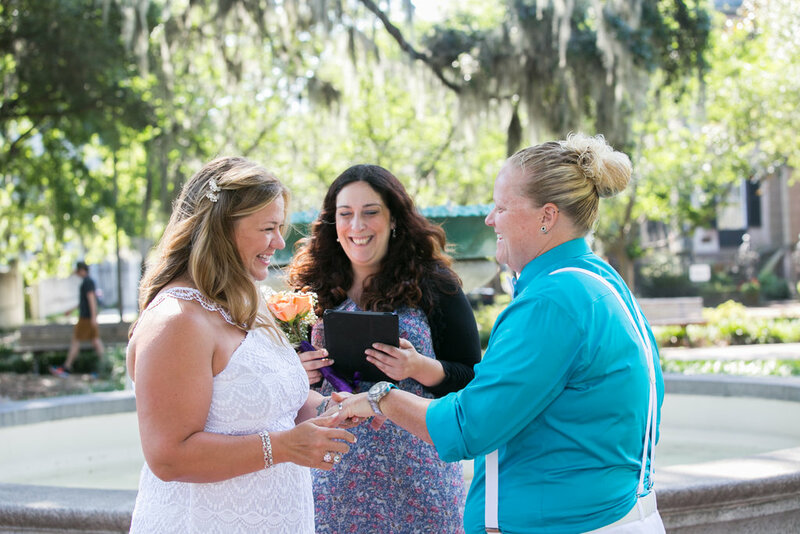 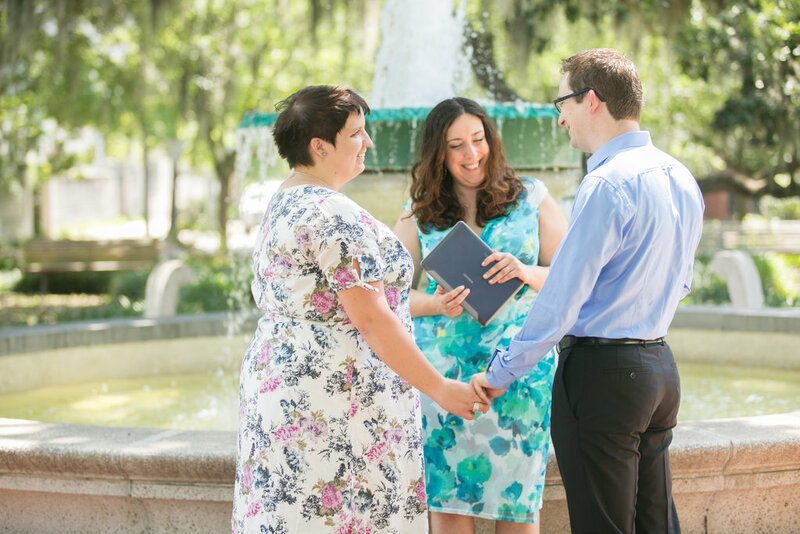 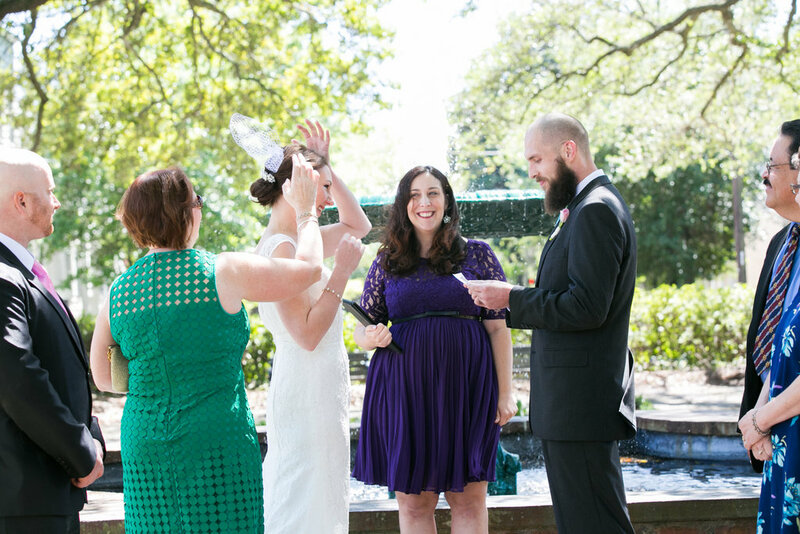 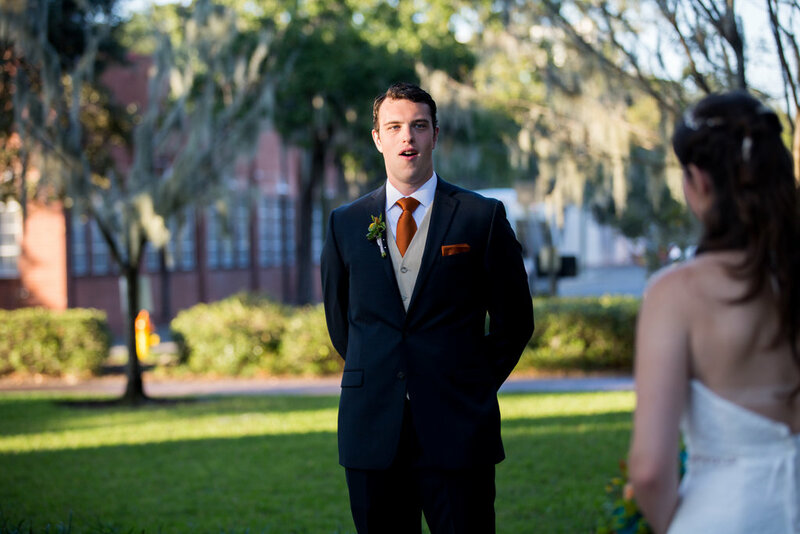 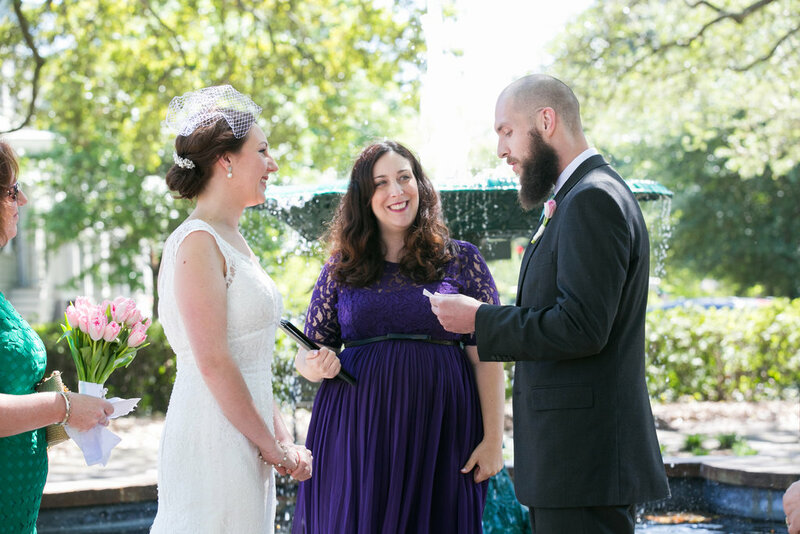 There are pros and cons to choosing each as your ceremony location. 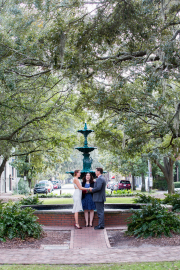 Pros: Lafayette has a darker, almost gothic (some use the word “moody”) look because of its trees and is beautiful at almost any time of day. 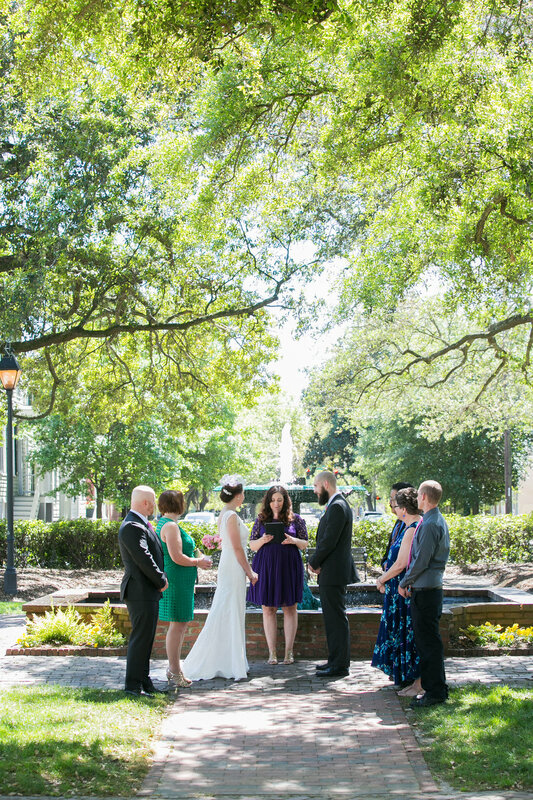 It is next to the Cathedral of St. John the Baptist and is centrally located. 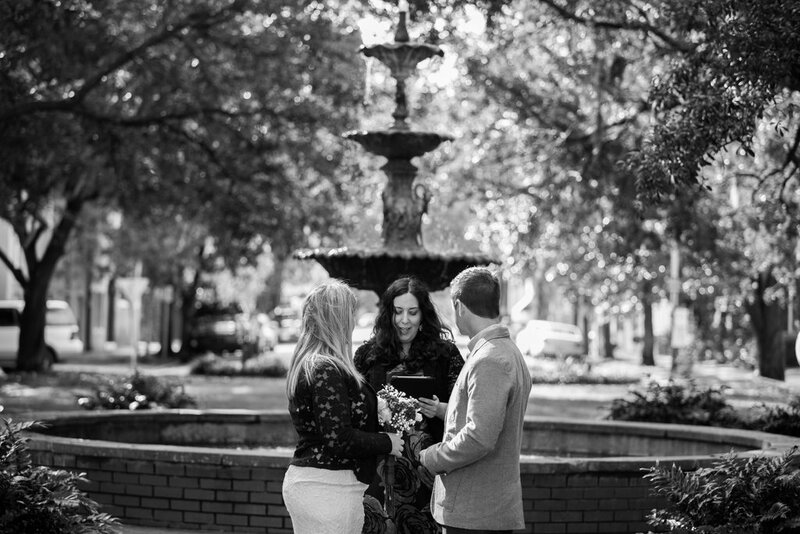 Cons: It is on the main tourist route, so parts of the square may seem crowded. 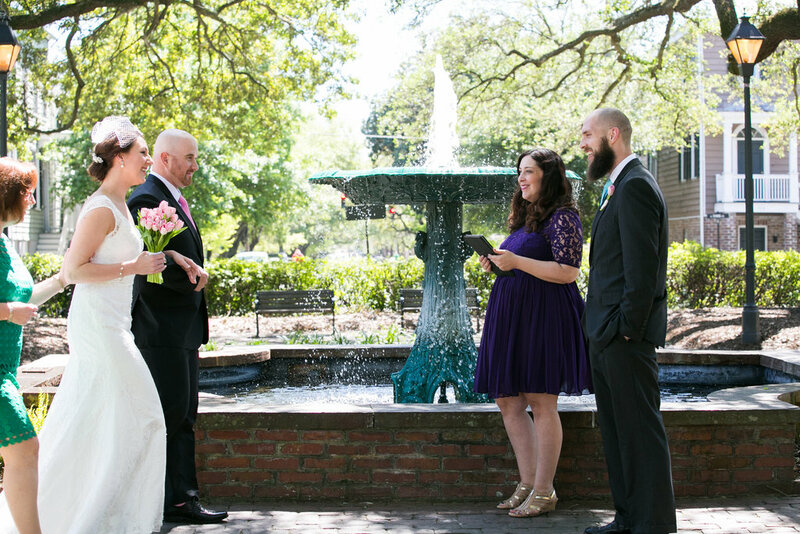 The space around the fountain is small so you will be separated from any guests if you decide to stand close to the fountain. 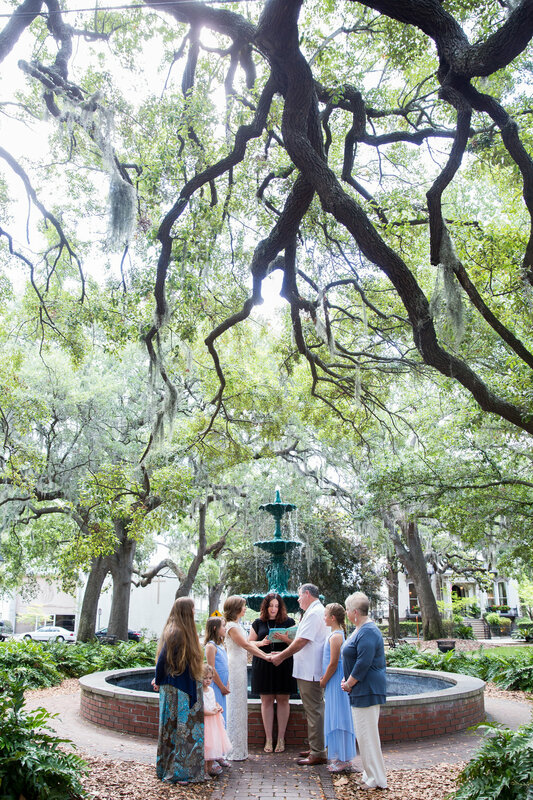 Pros: Orleans is bright, open, and airy, and yet also has gorgeous, beautiful trees. It does not get much tourist traffic. 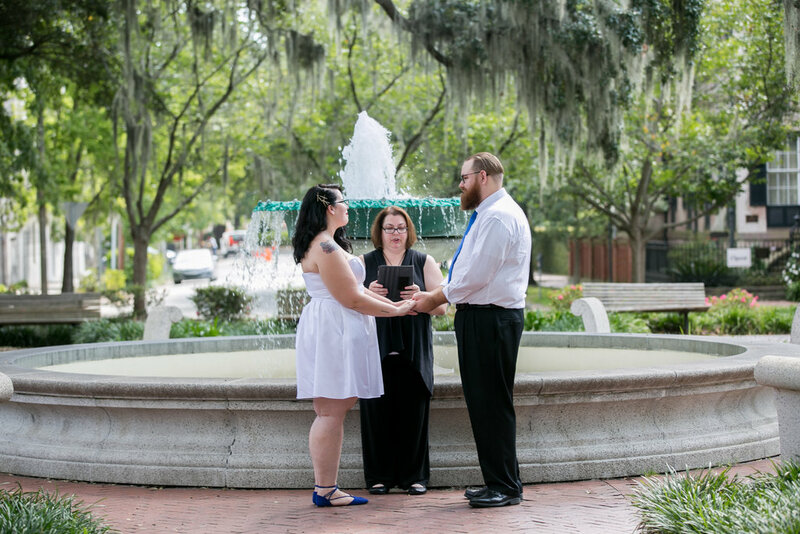 Cons: The lighting can be iffy for midday ceremonies because it is so open. 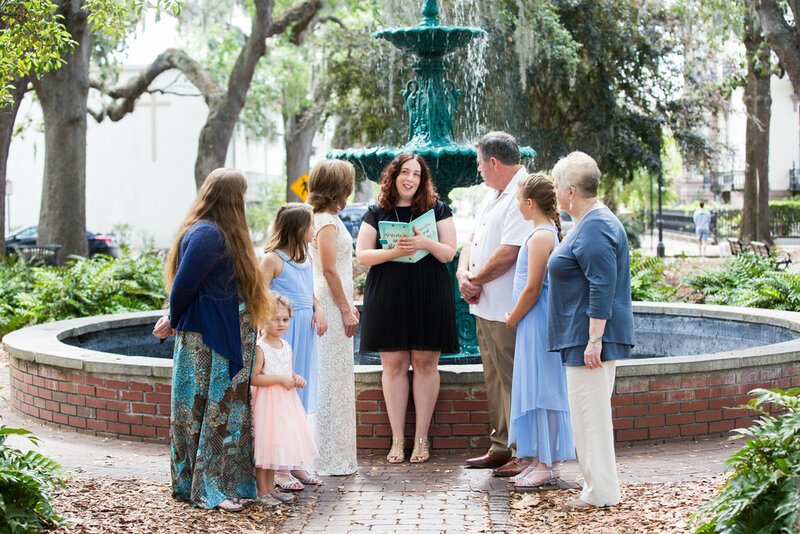 The fountain can be loud and if you have more than 3-4 guests, your guests will need to be separated from you. 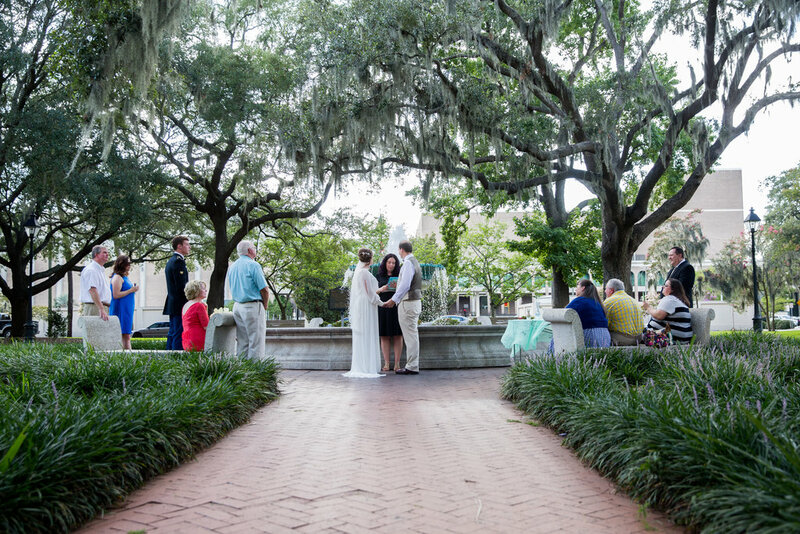 Pros: It is a square off the typical tourist routes and has four open sides for your guests to stand. 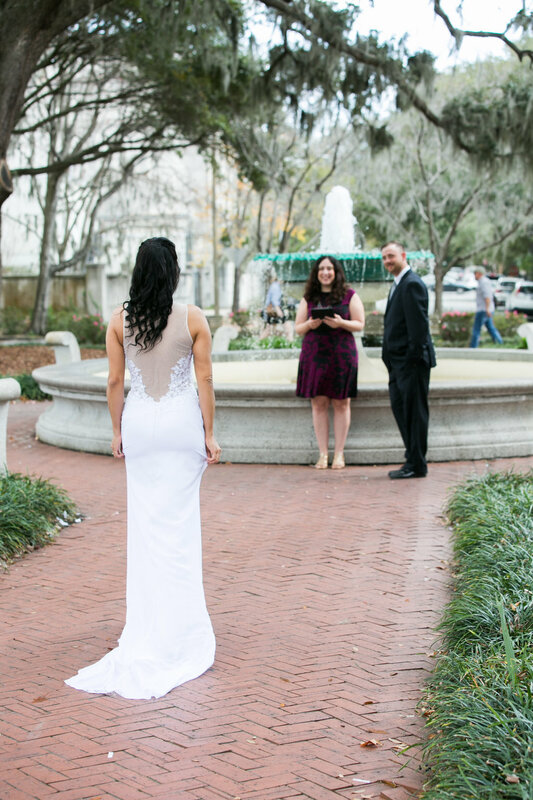 Cons: It is far from Forsyth Park if you are planning on using that as a background for some of your Savannah Elopement Experience photos. 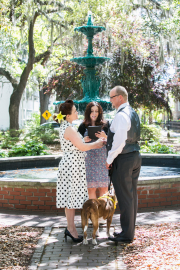 However, it is super easy to get there on pedicabs! 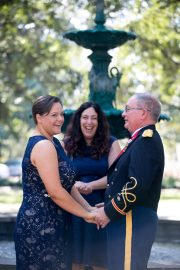 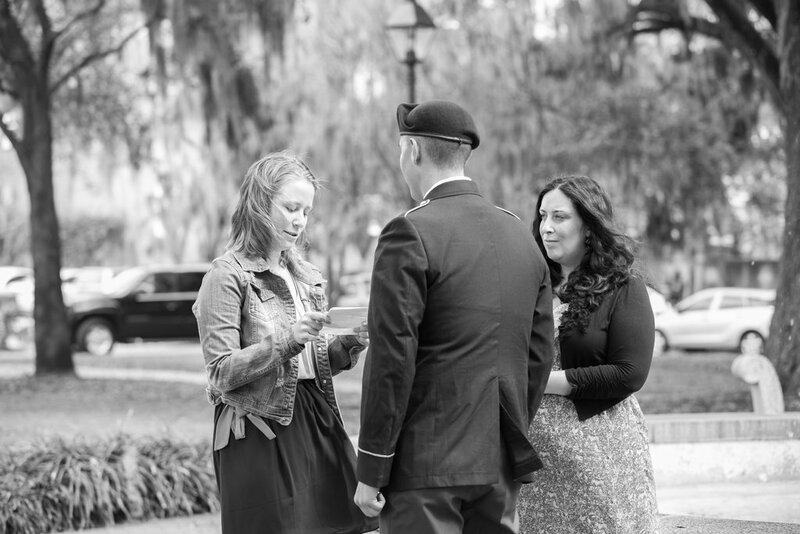 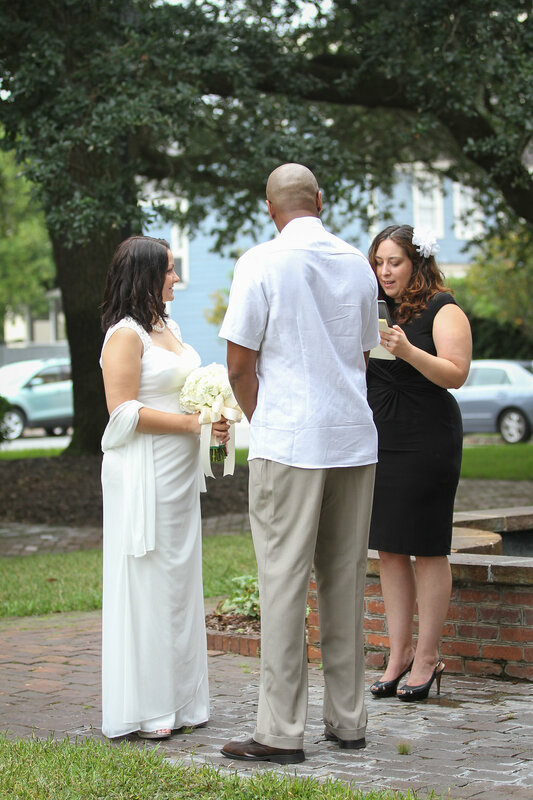 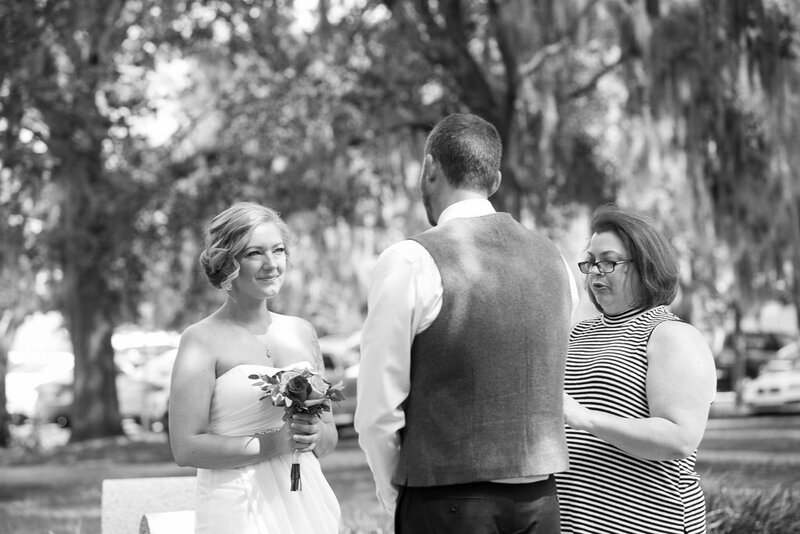 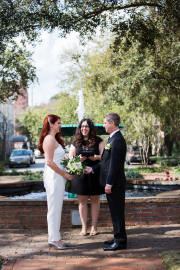 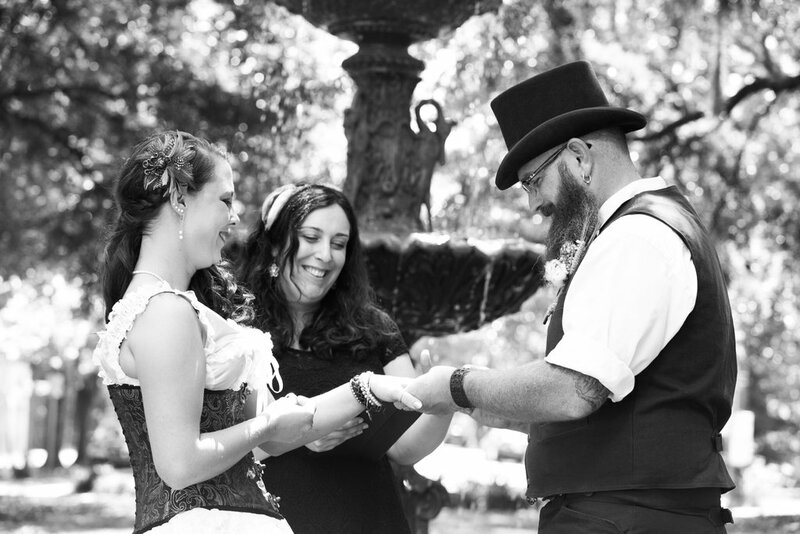 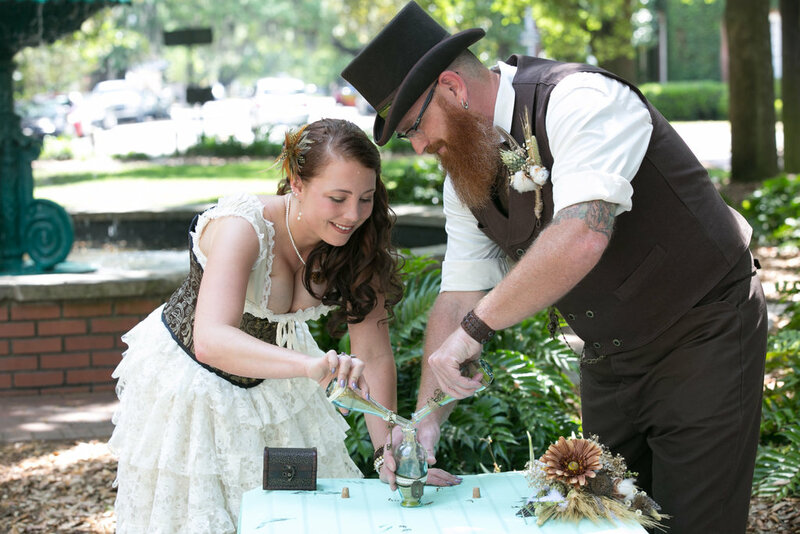 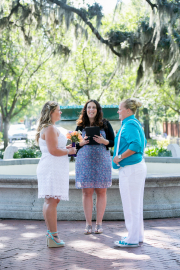 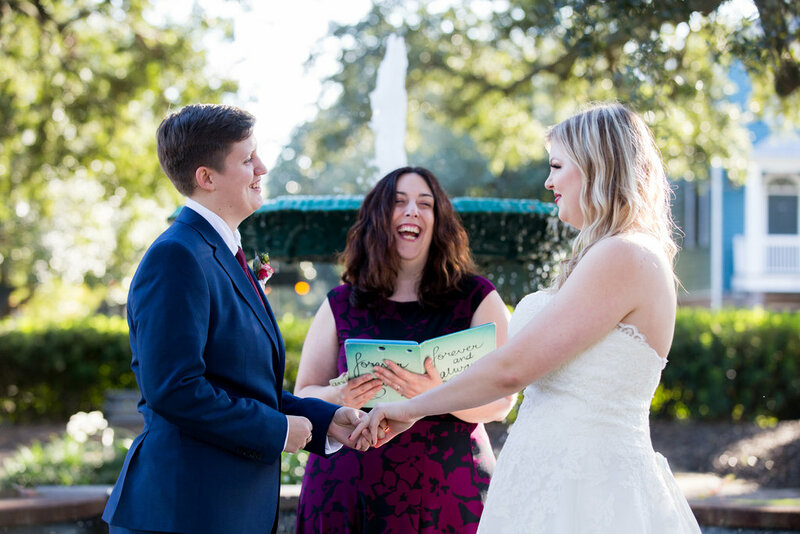 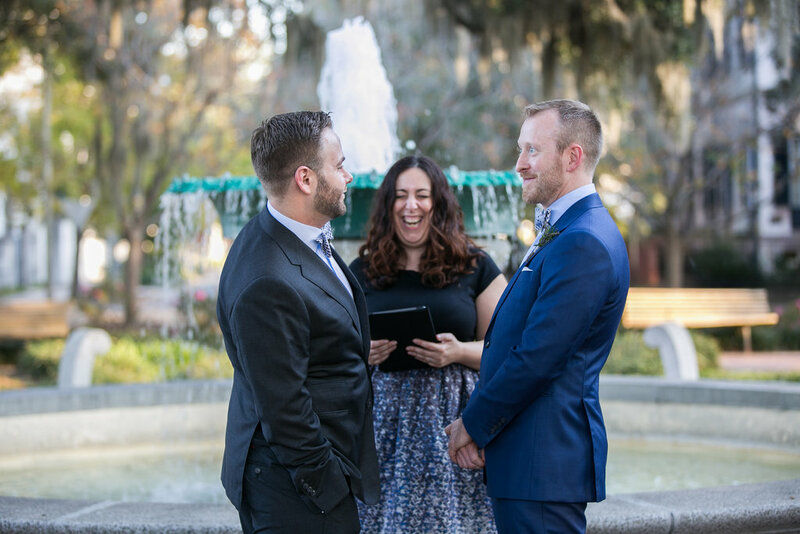 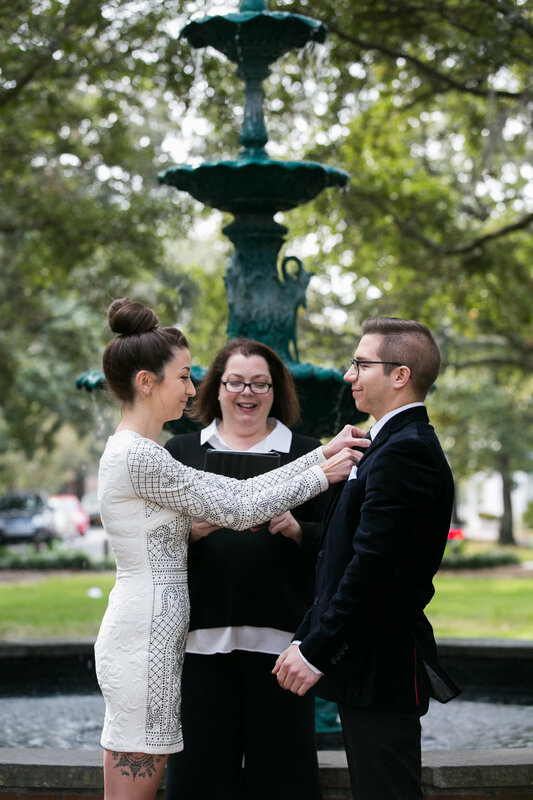 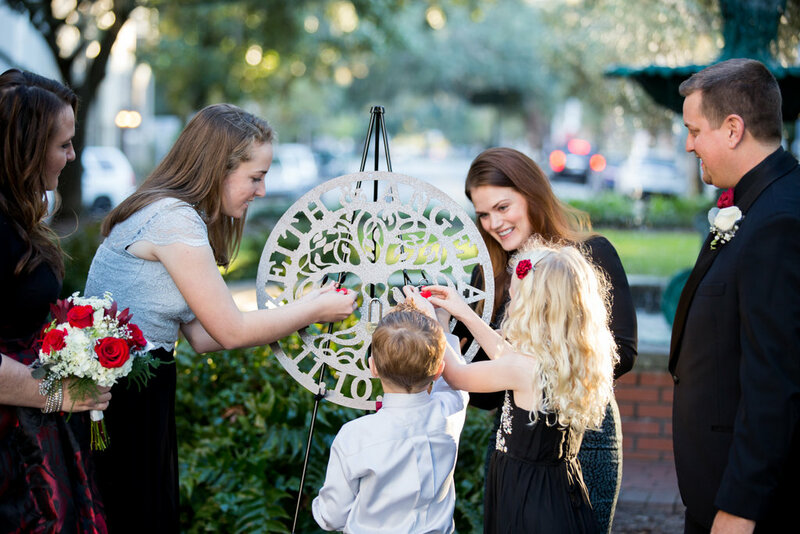 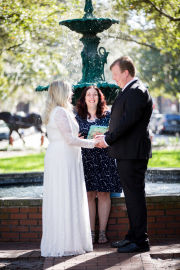 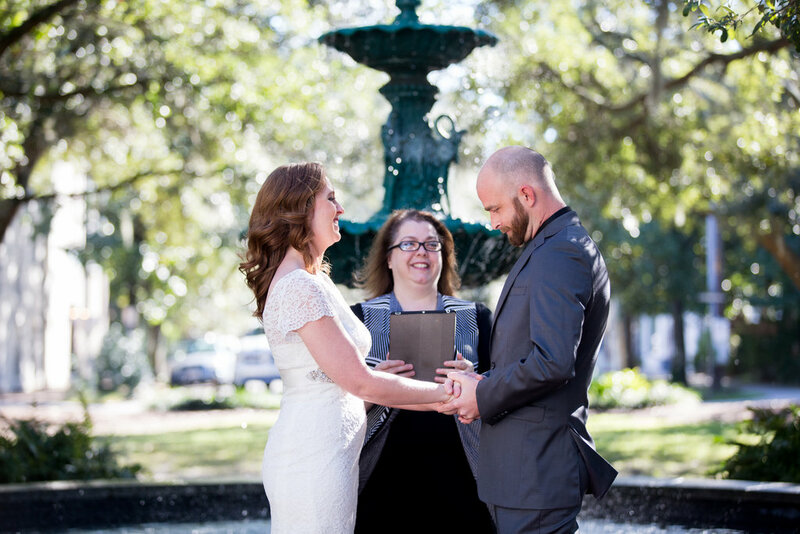 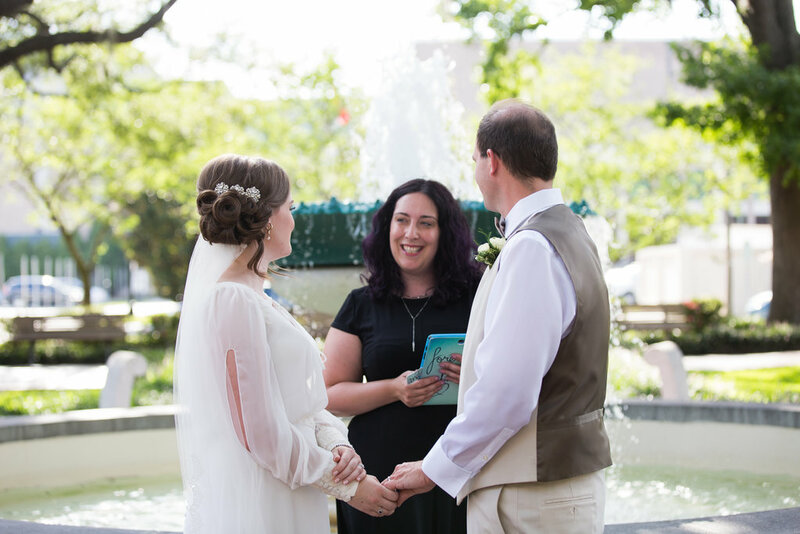 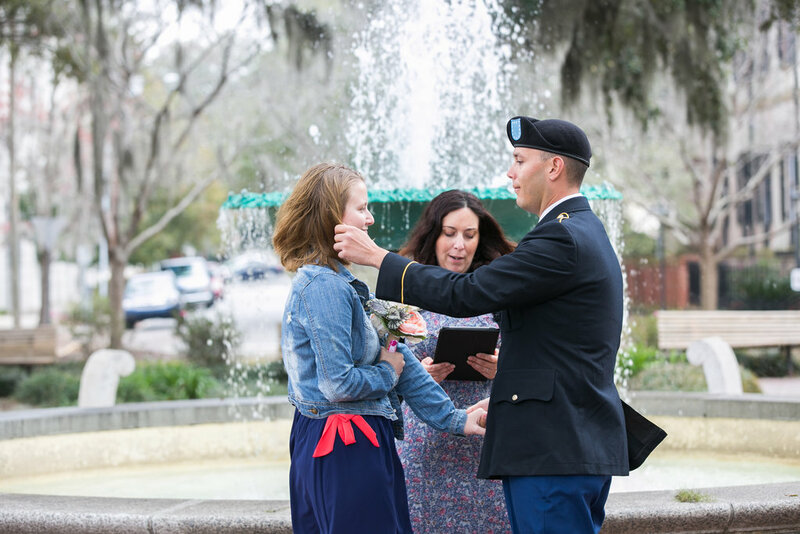 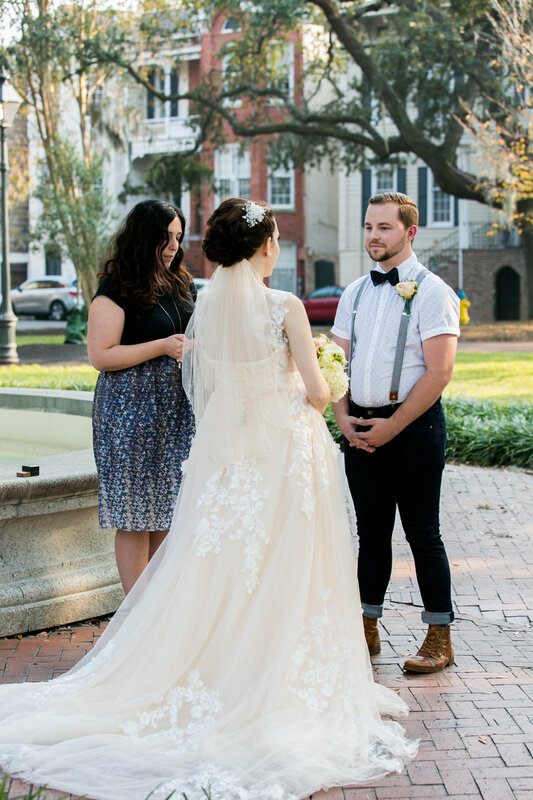 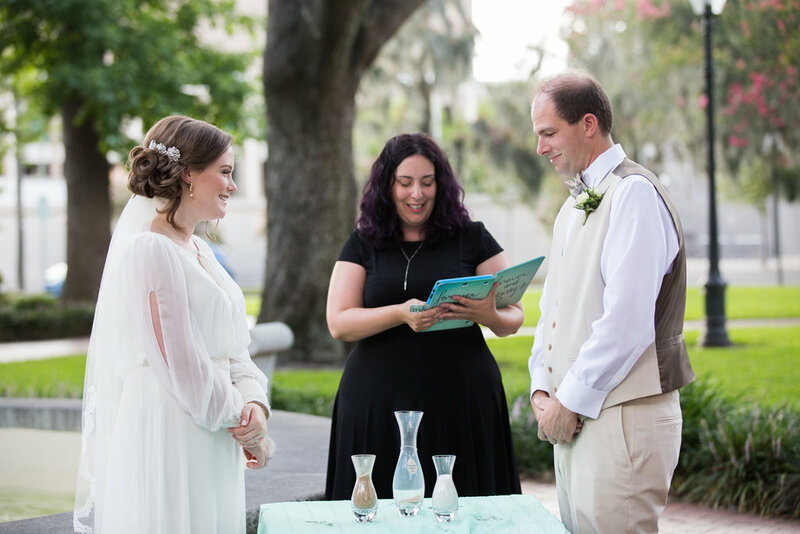 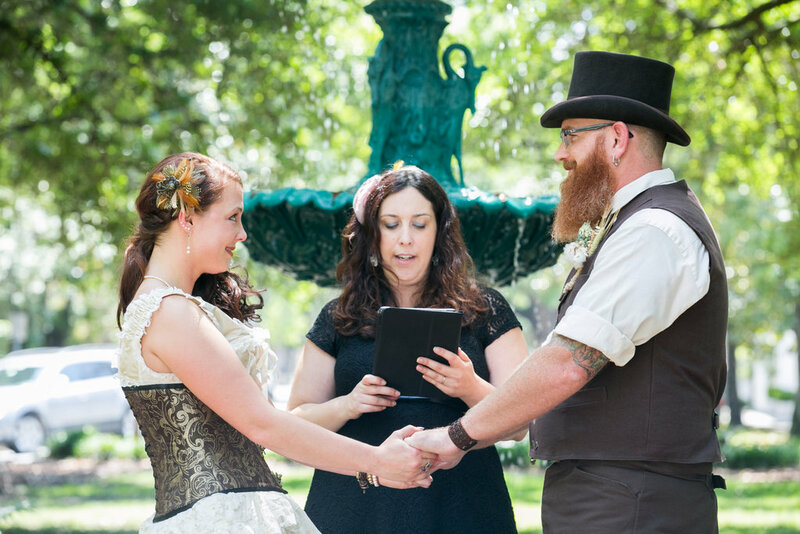 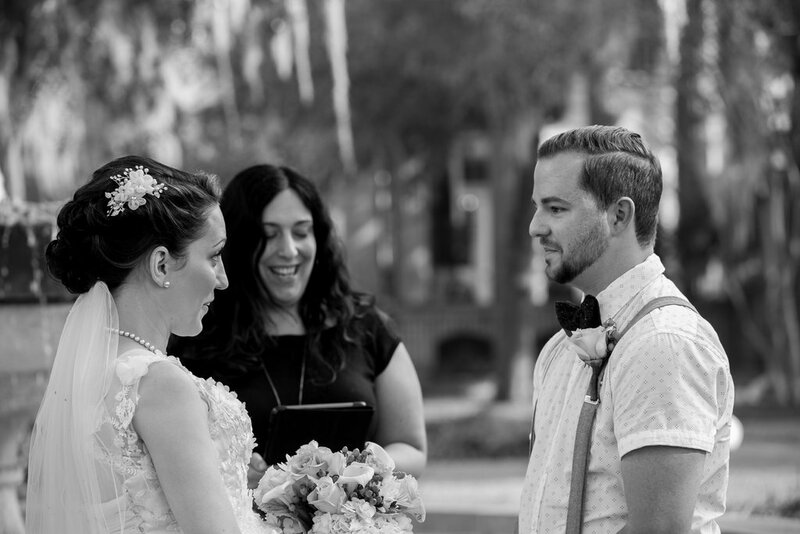 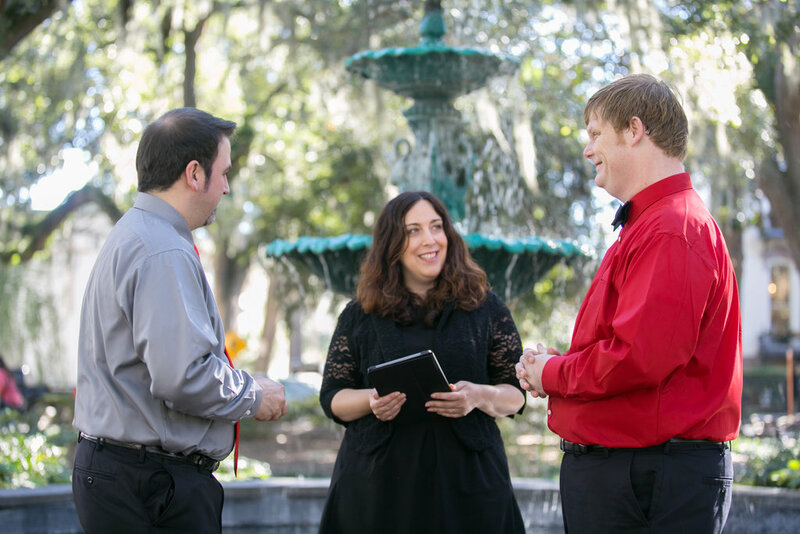 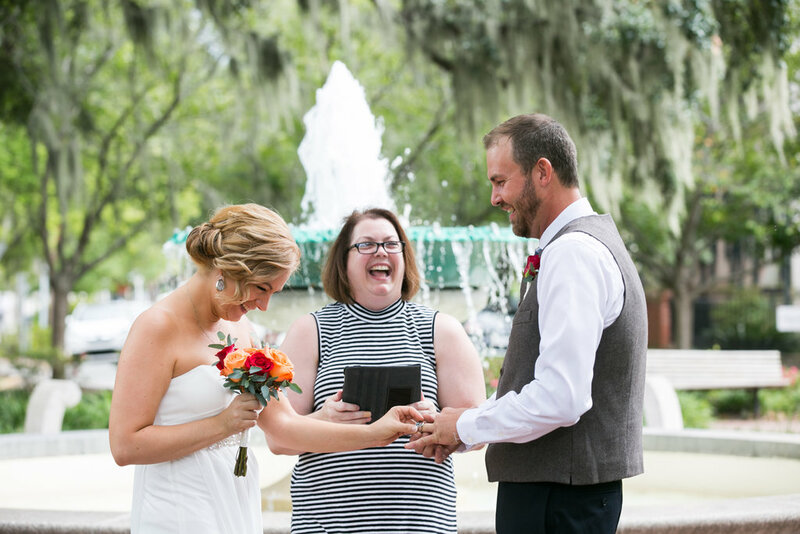 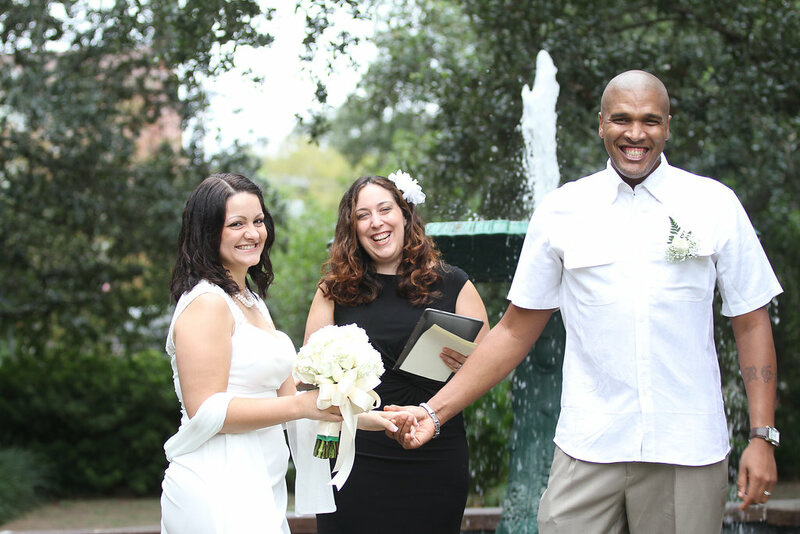 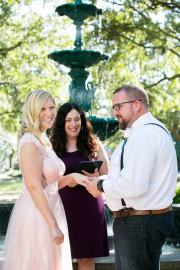 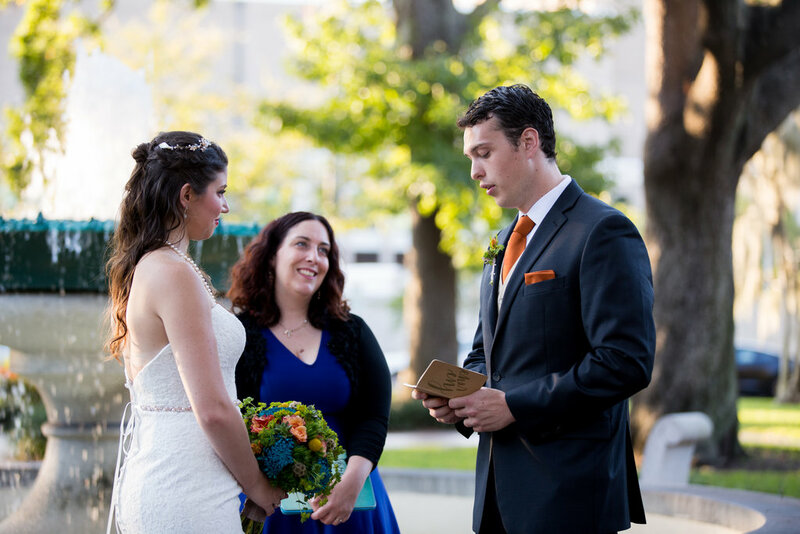 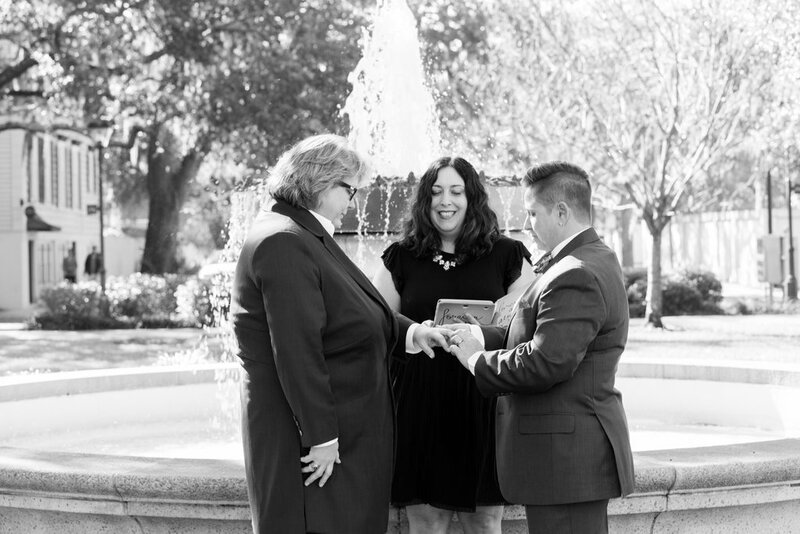 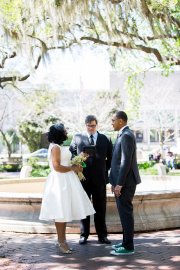 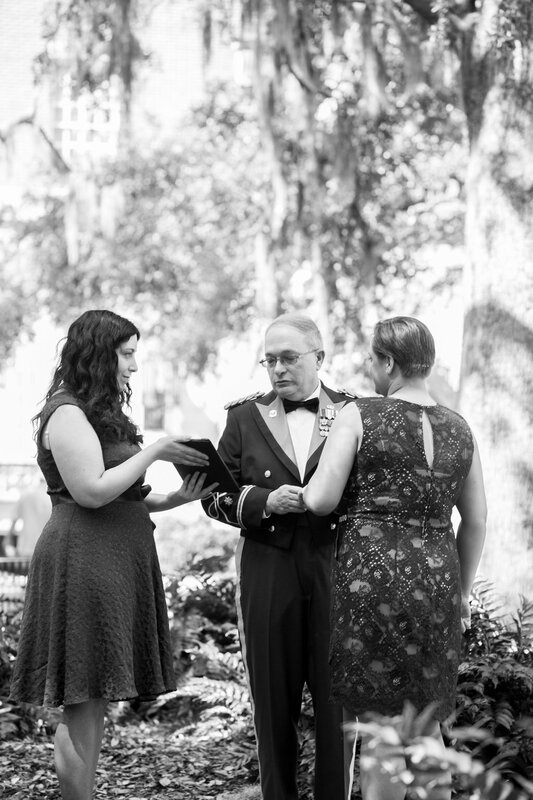 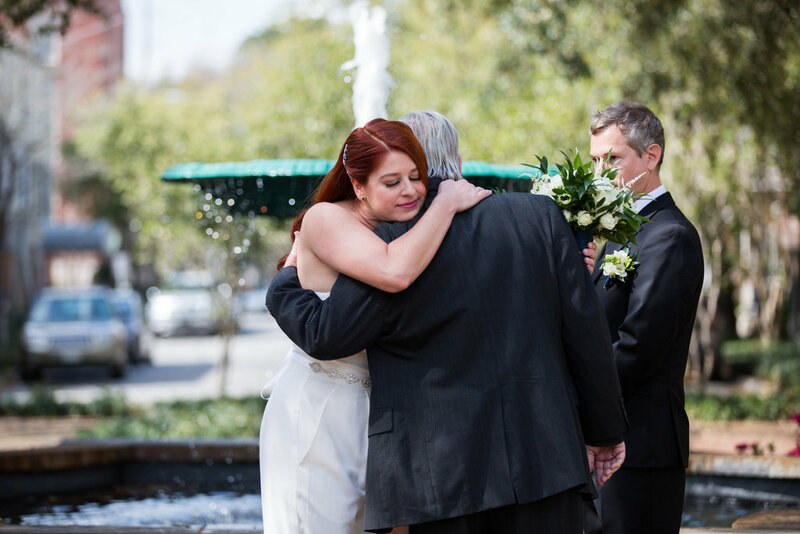 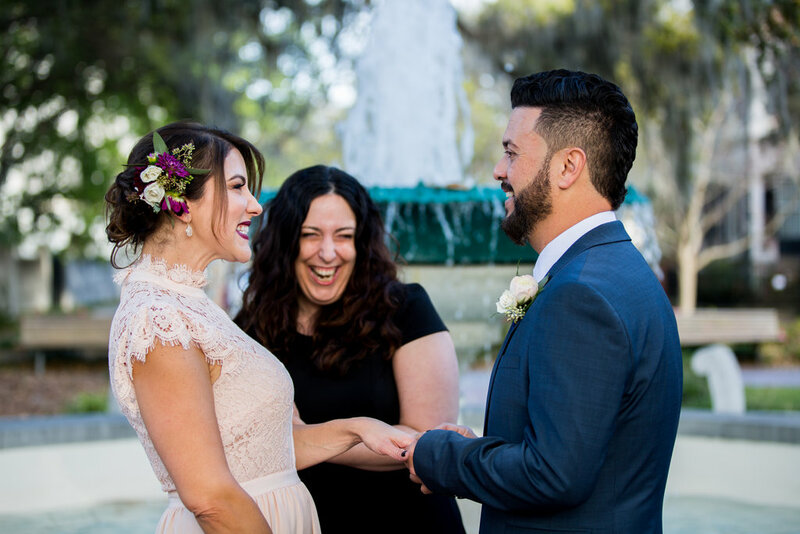 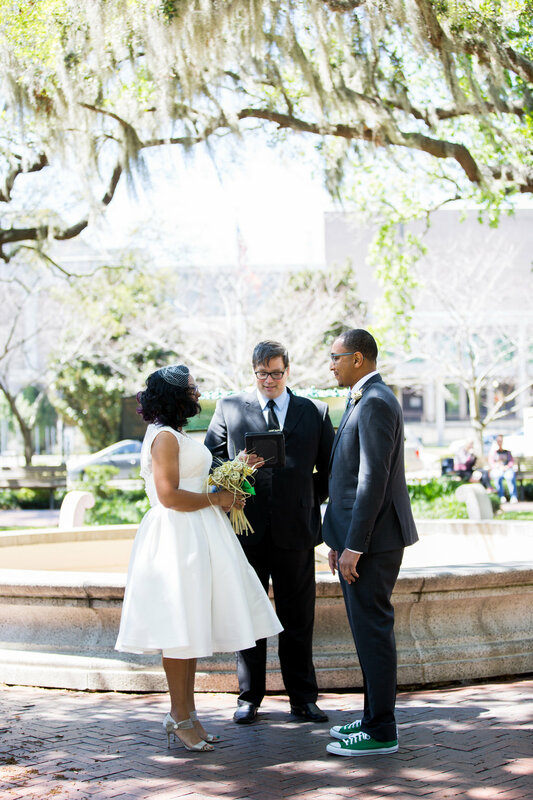 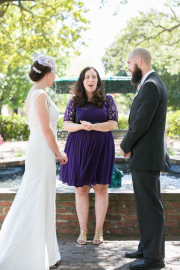 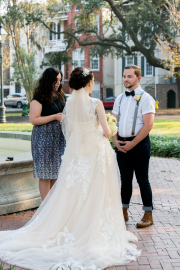 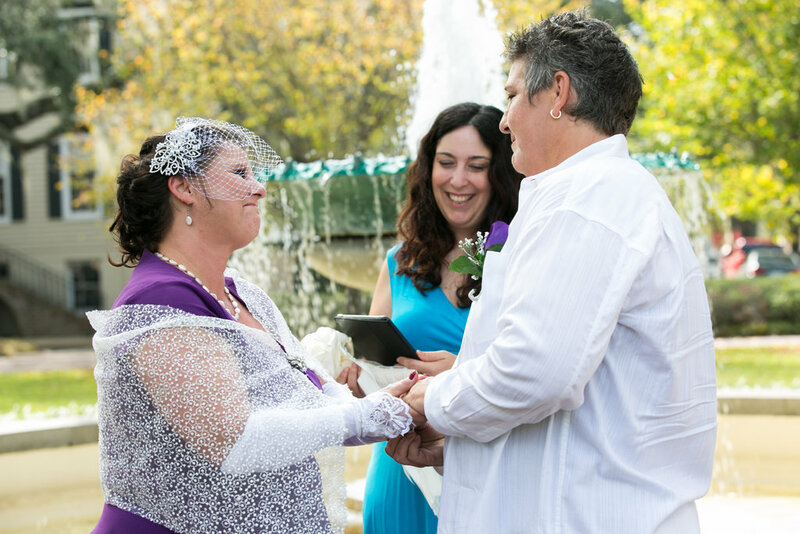 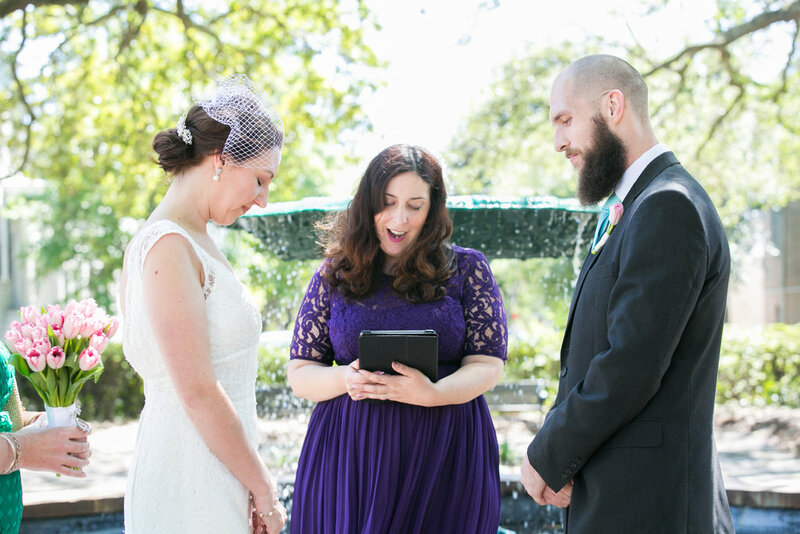 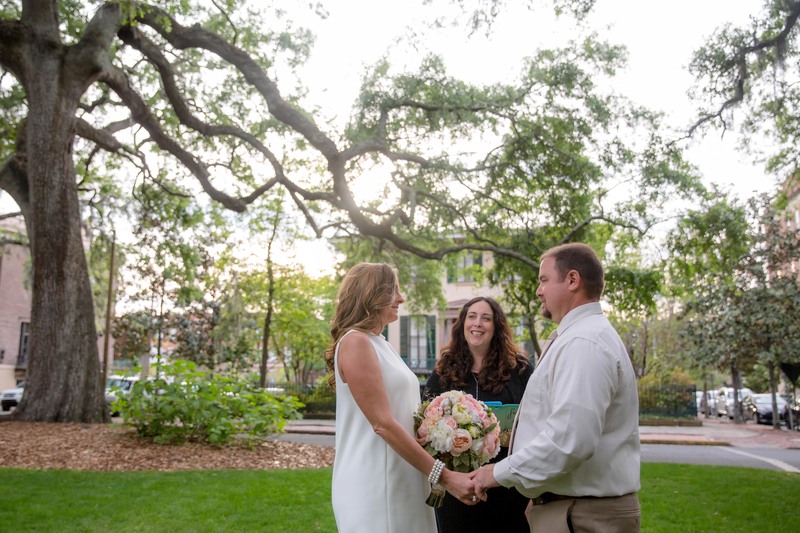 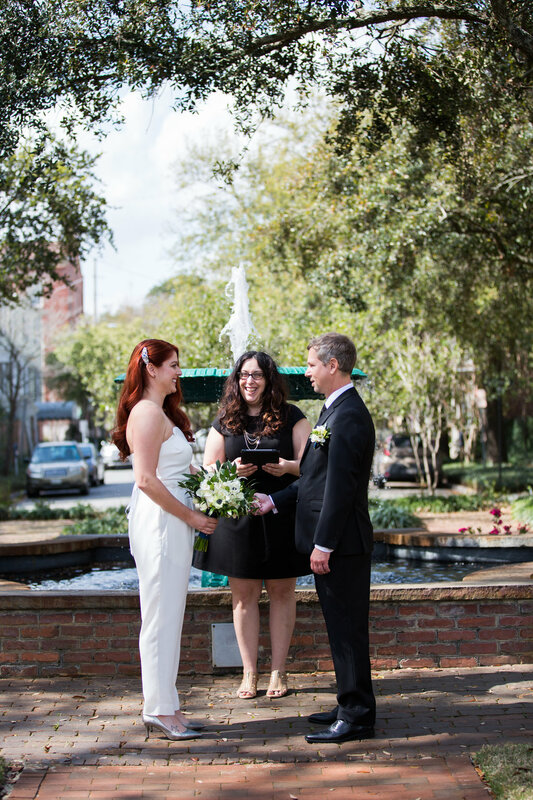 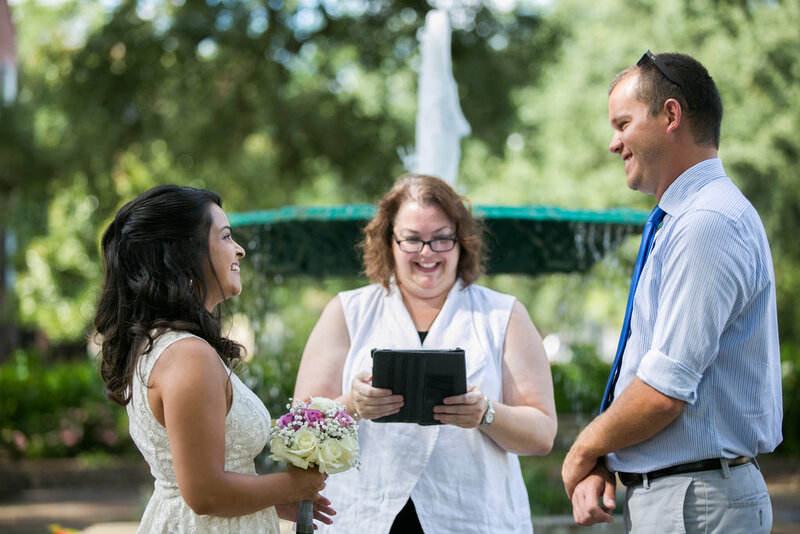 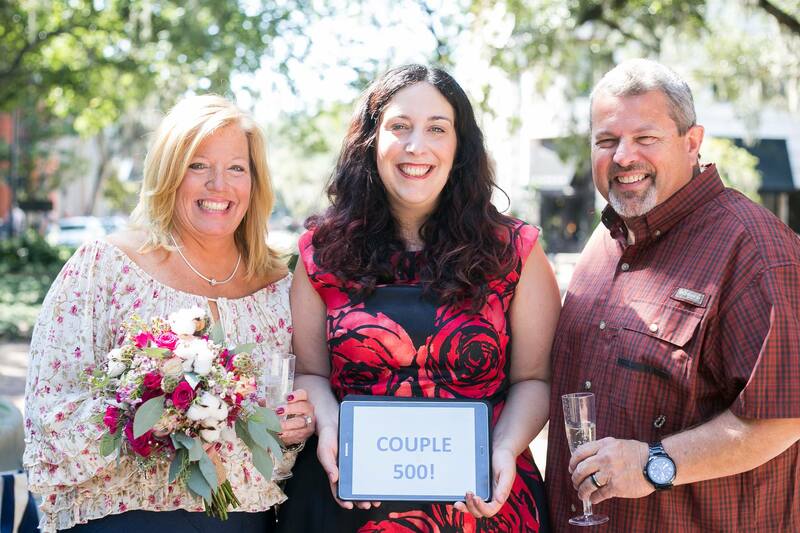 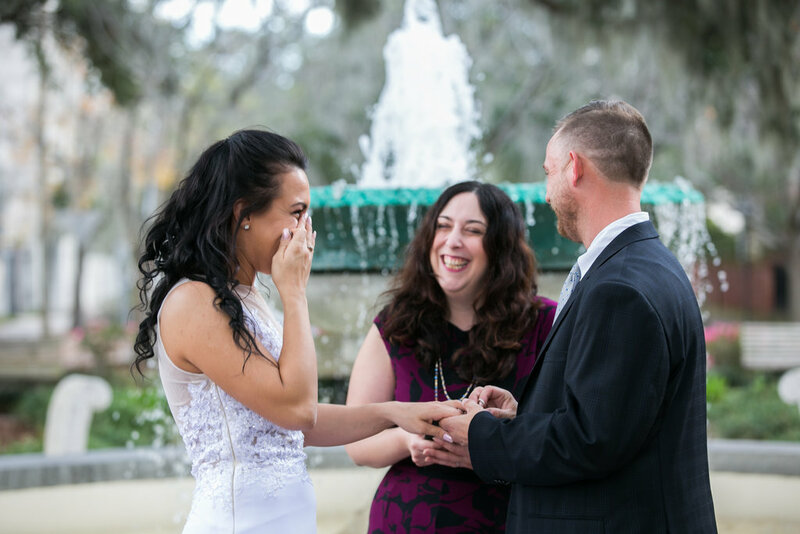 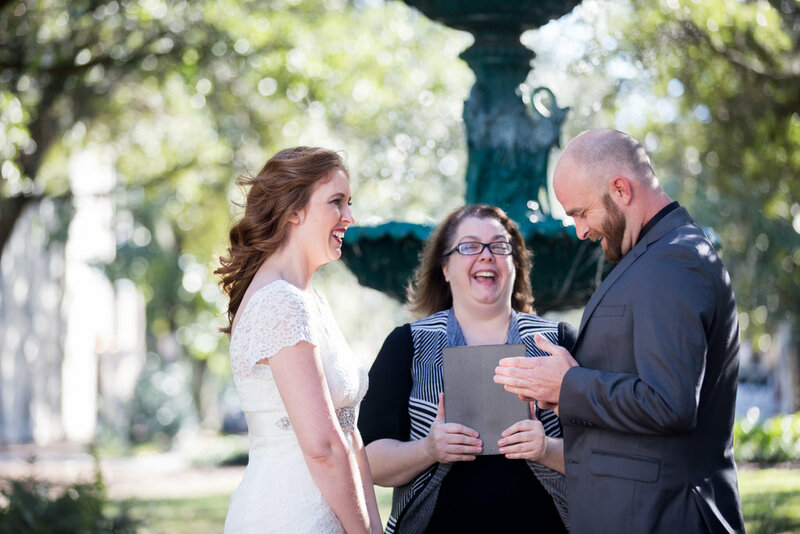 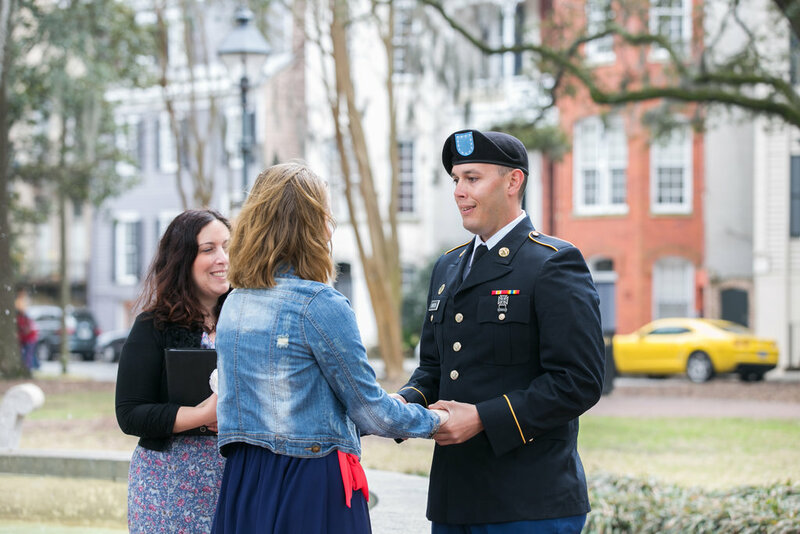 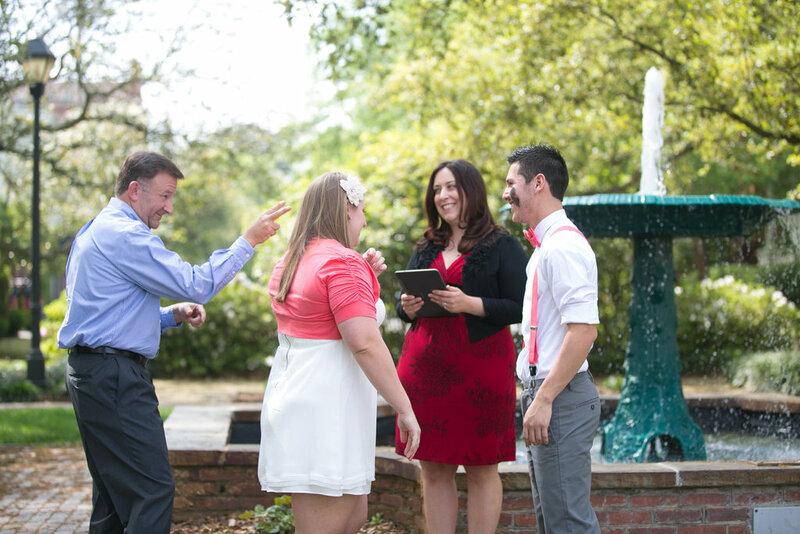 Enjoy our gallery of elopement and wedding ceremony photos in Lafayette, Orleans, and Columbia squares!